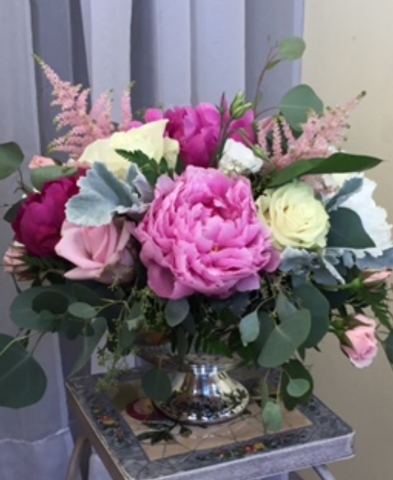 Lots of care went into creating this lush look for Sam and Zac’s special day. 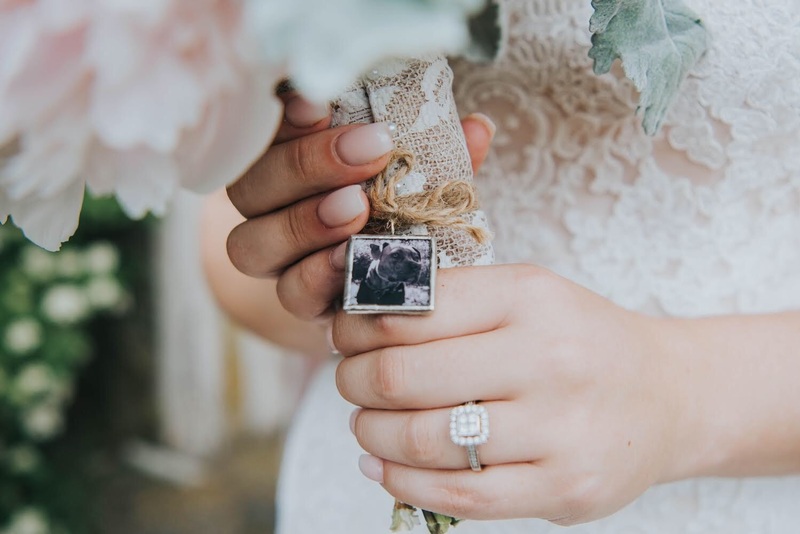 We especially loved Sam’s wish to incorporate remembrance photos of their loved ones. 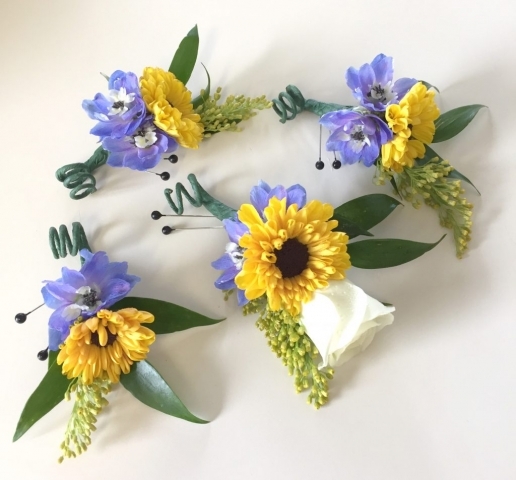 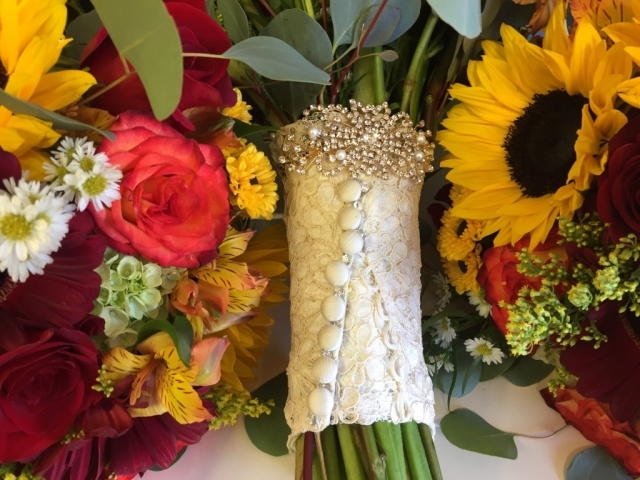 Tami designed and crafted custom boutonnieres to commemorate a shared passion and a loved one, lost. Sam’s bridal bouquet wrap also included a special photo, which personalized her bouquet even more! 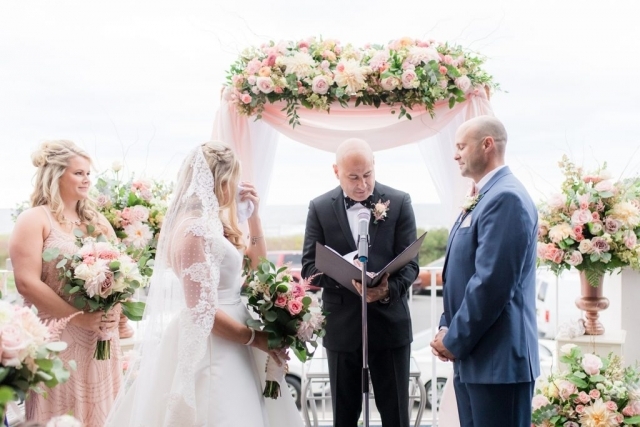 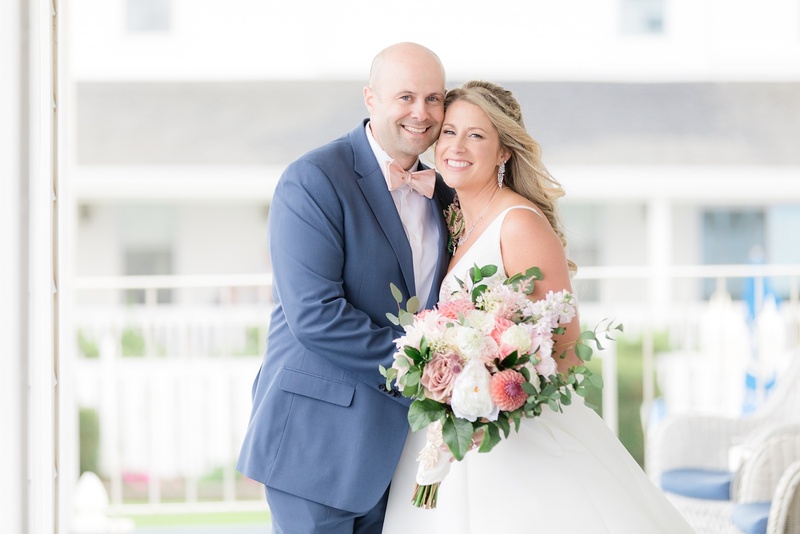 Their love for the beach and sea glass brought them to The Breakers in Spring Lake New Jersey. 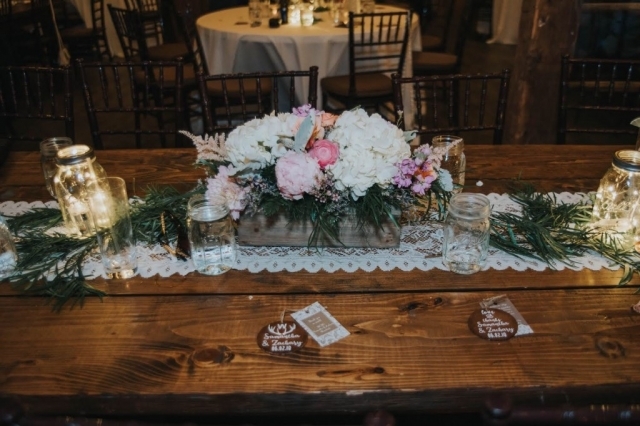 Following the traditions of other weddings being held there also over the last 50 years. 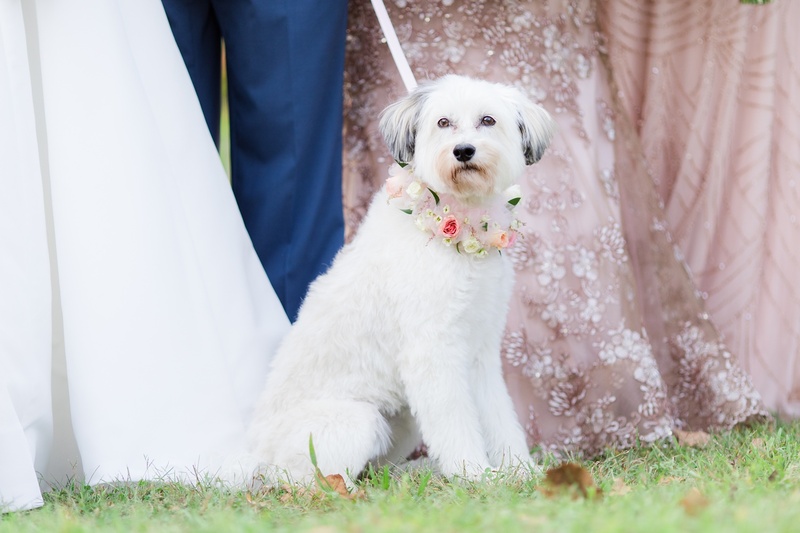 The wedding wouldn’t be complete without their sweet, 4 legged girl Lexi taking part in the ceremony. 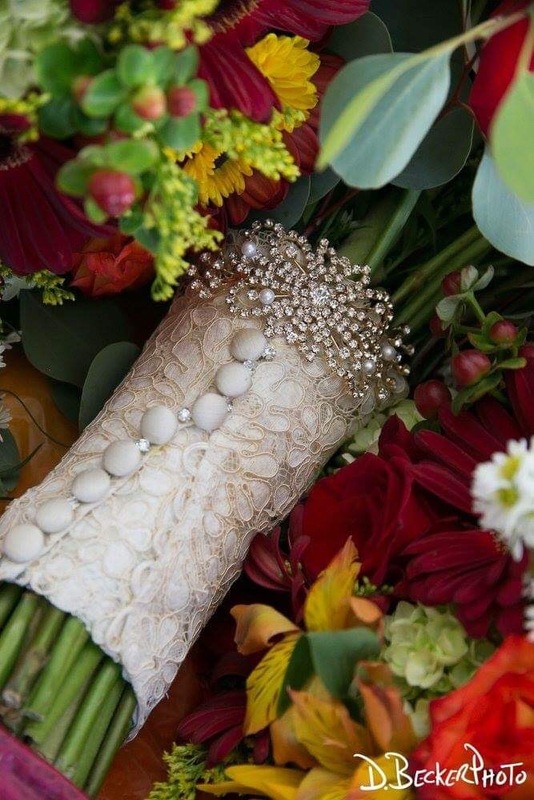 Look at the stunning floral collar. 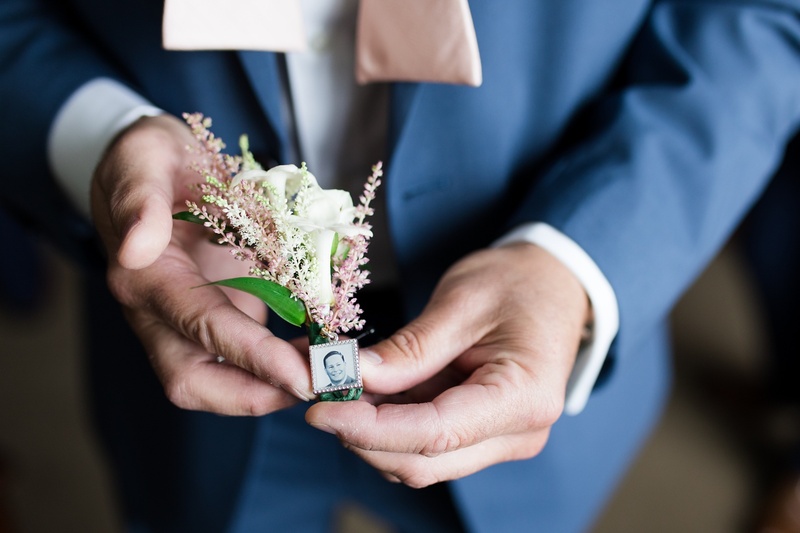 The groom was so honored to keep his father near his heart with a photo charm on his boutonniere. 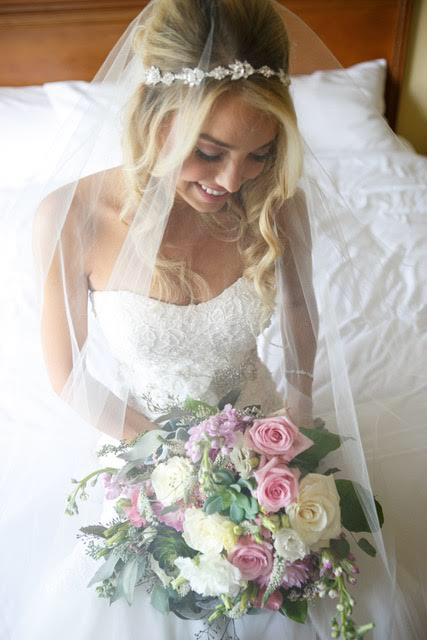 While Ashley’s bouquet was wrapped in her grandmothers bridal dress sleeve. 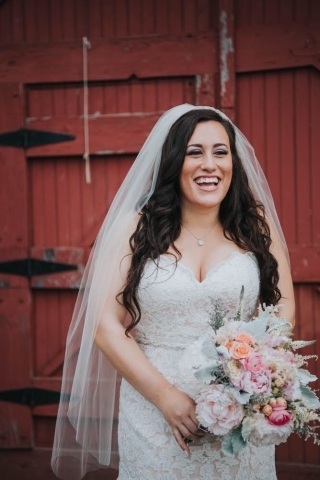 Not even the scenery compares to this beautiful bride! 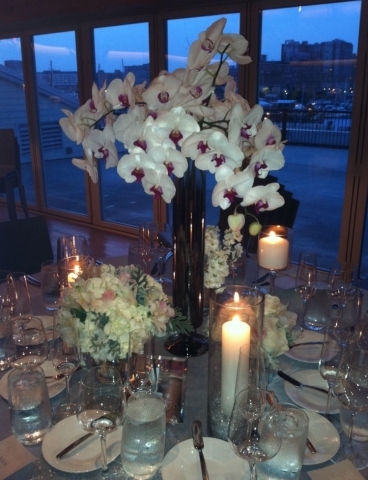 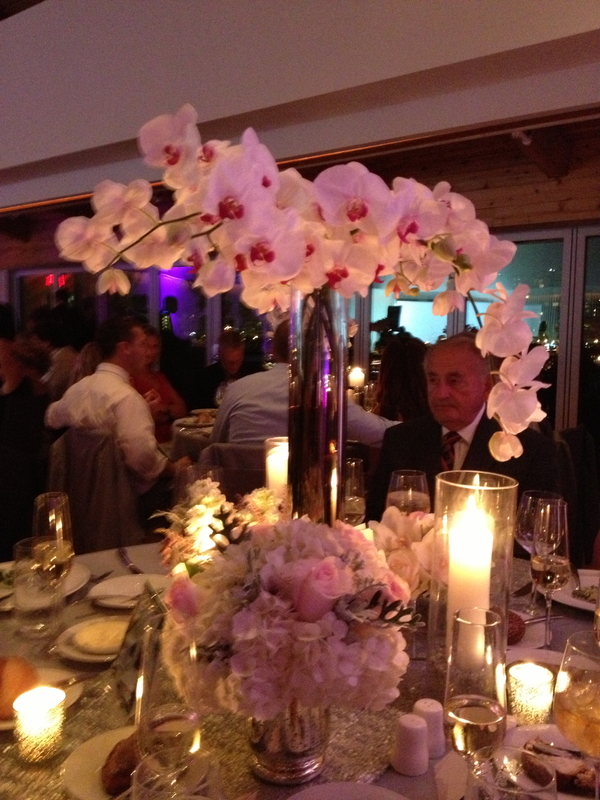 Elegance was everywhere in this stunning wedding, the orchids were breathtaking along with the other personal details. 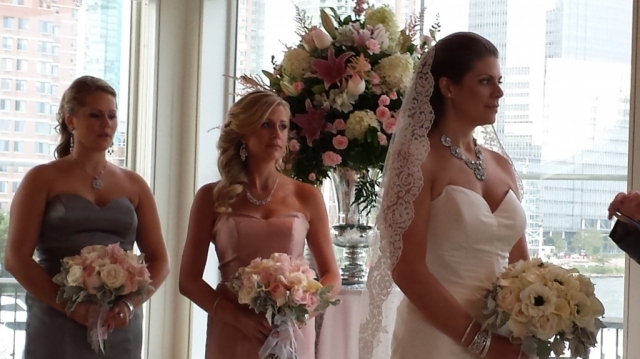 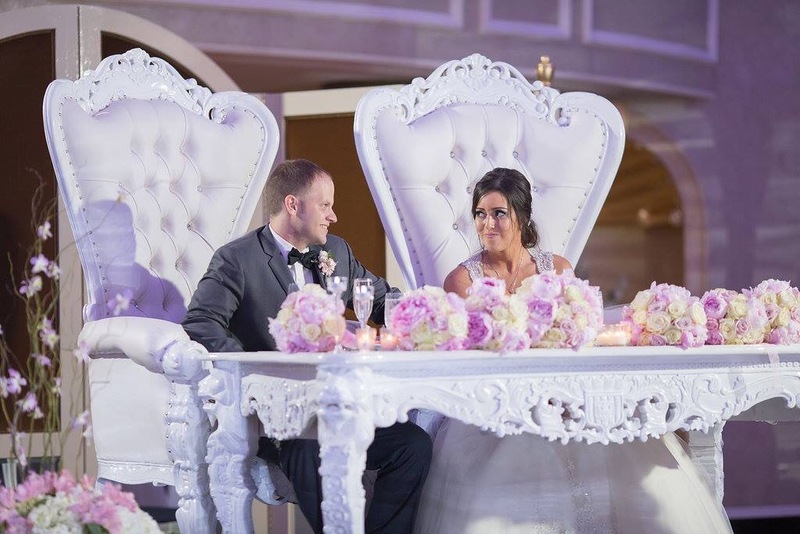 The ceremony space included two absolutely gorgeous pieces outlined by the NYC skyline. 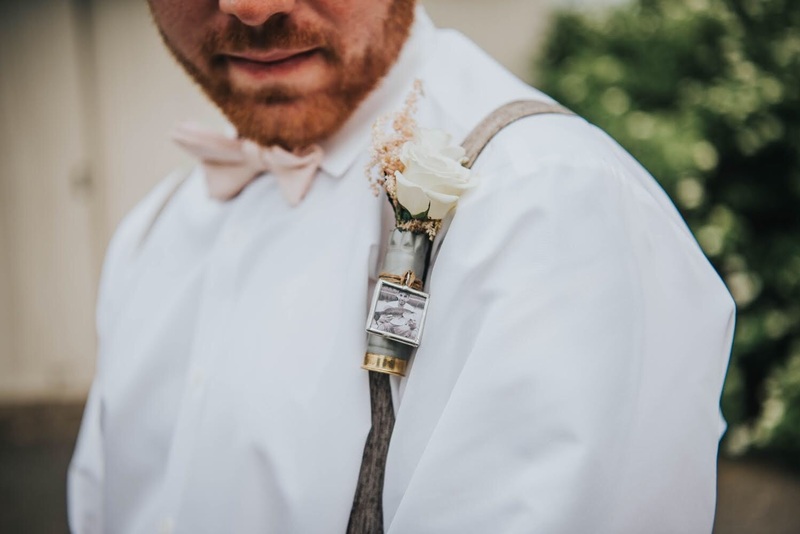 The groom wand ushers were definitely Super Hero’s of the day with their own personal touches, their super hero cufflinks! 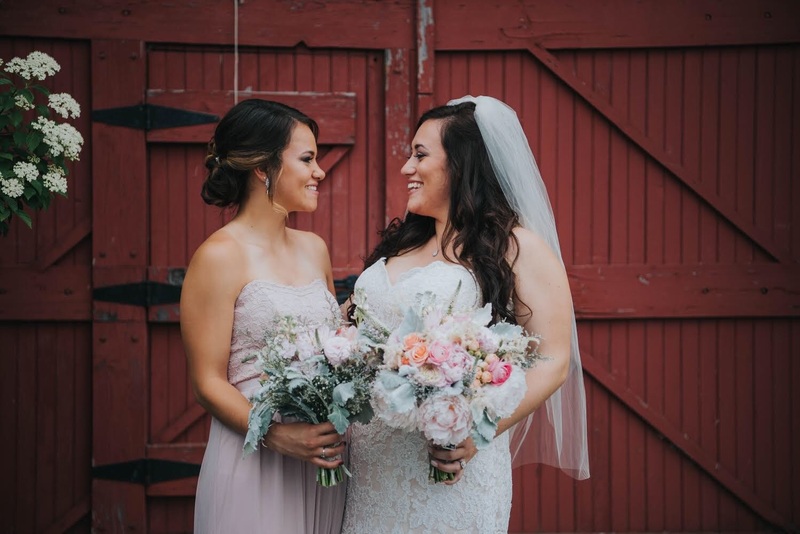 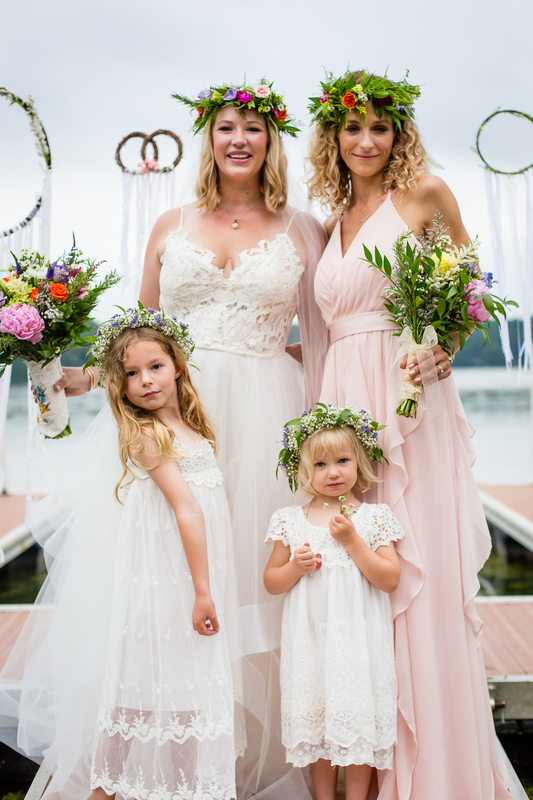 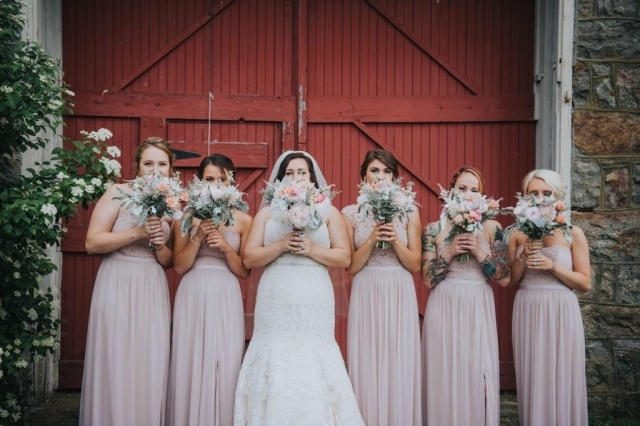 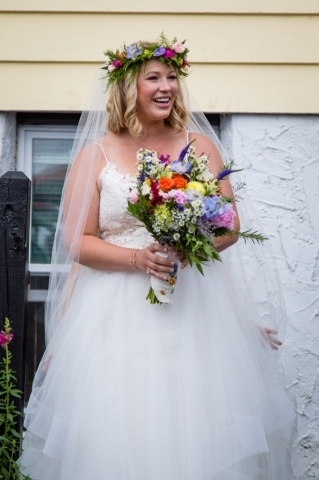 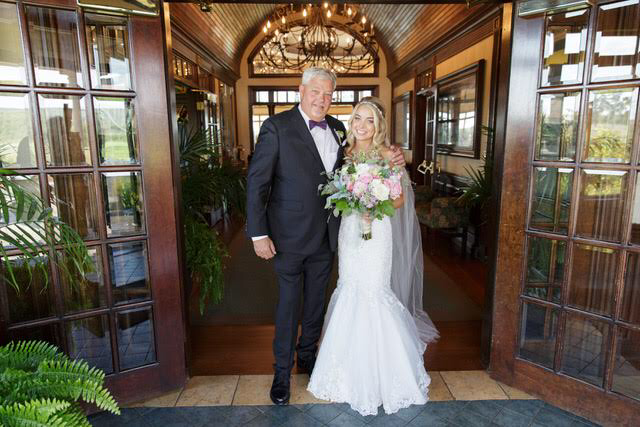 Lauren, our beautiful bride, definitely had a clear vision of the BoHo chic look she wanted! 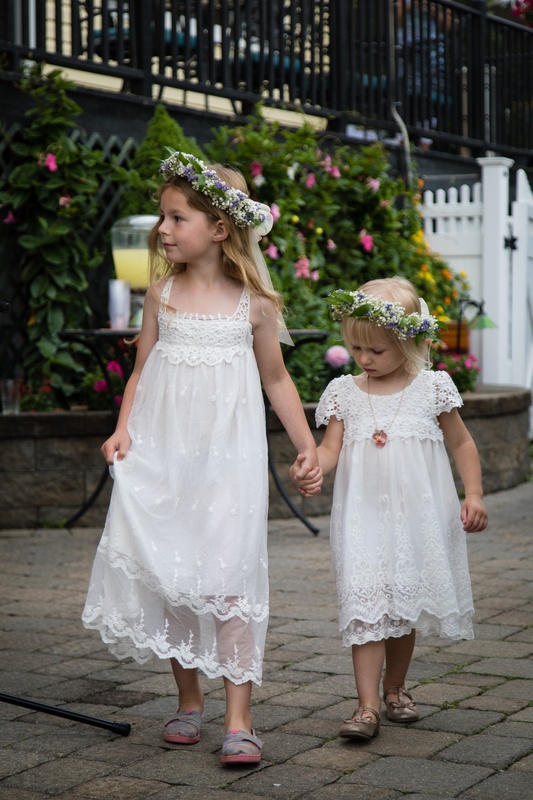 It was shown wonderfully through her own and her witness’ flower crowns and dream catchers made by the bride herself! 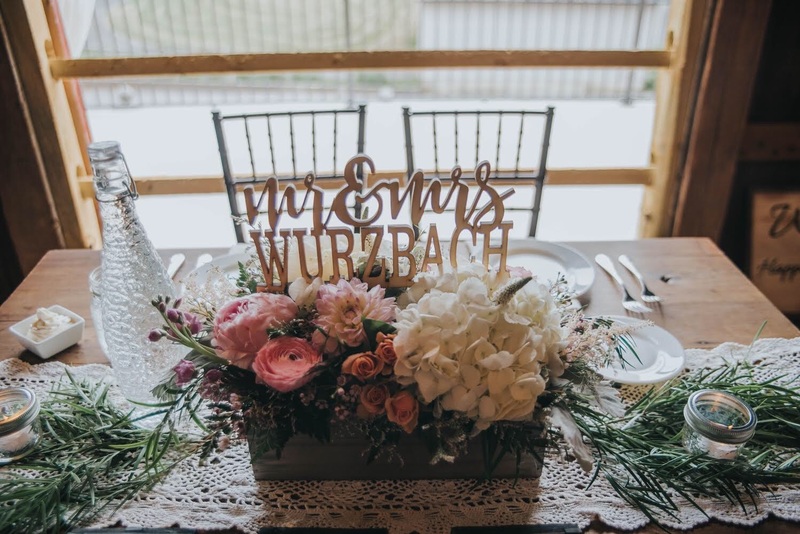 We loved this bride’s creativity and vision, it all added up to a unique and perfectly tailored event! 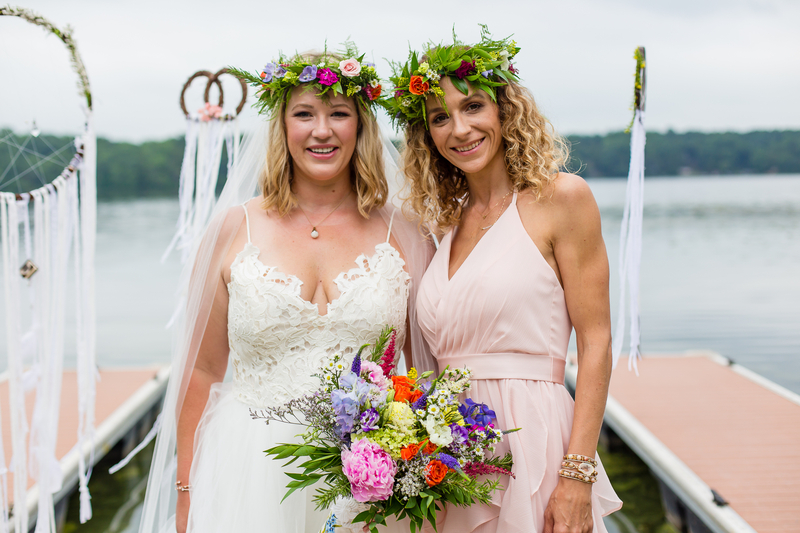 Swartswood lake was the backdrop for this intimate wedding and fun couple’s reception at The Boathouse. 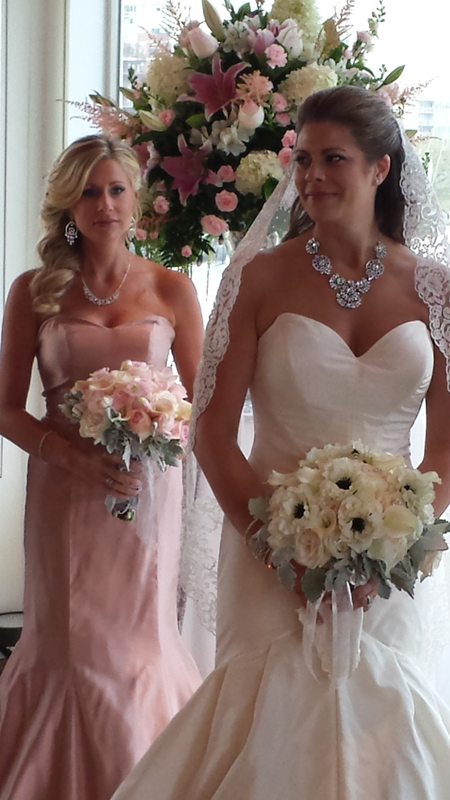 Kai, their handsome son did an excellent job carrying the rings down the aisle! 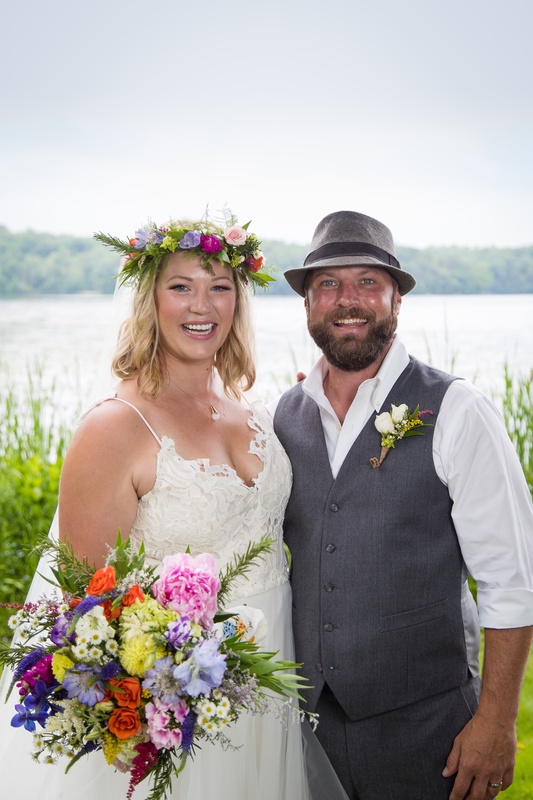 Our adventurous California couple came home to choose the perfect location for their picturesque wedding. 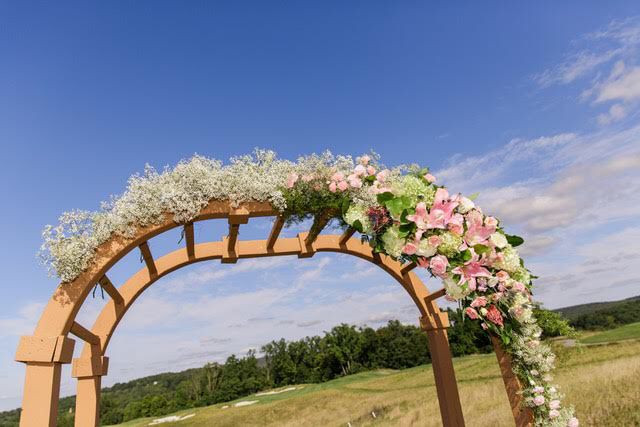 The scenery at Ballyowen goes on for miles and miles and was highlighted by the arbor decorated to perfection. 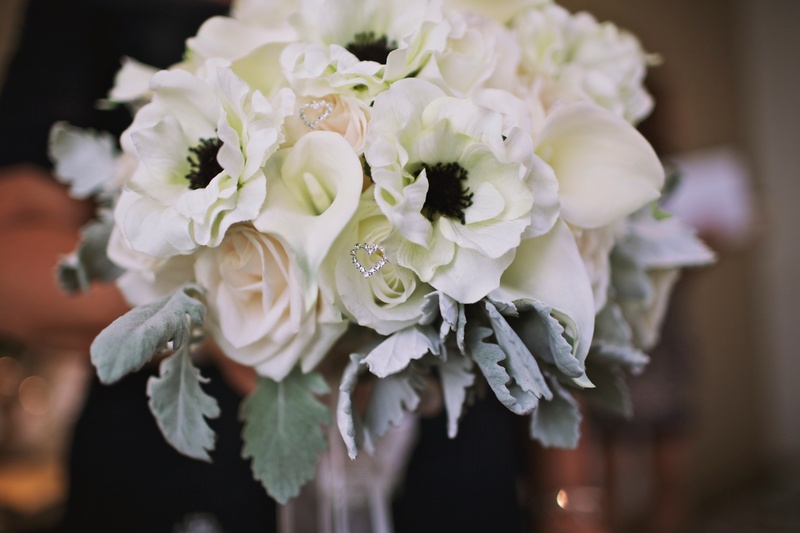 The bride’s preference for greens, succulents lead to a very earthy feel and design. 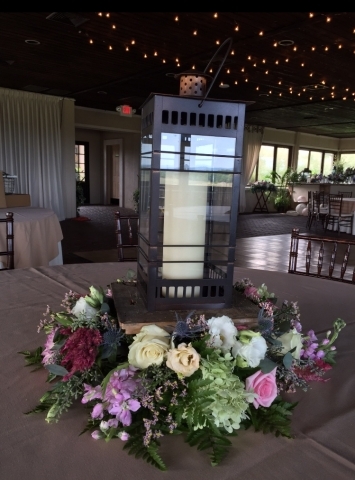 Lanterns lit up the nighttime reception adding a very warm and inviting feeling. 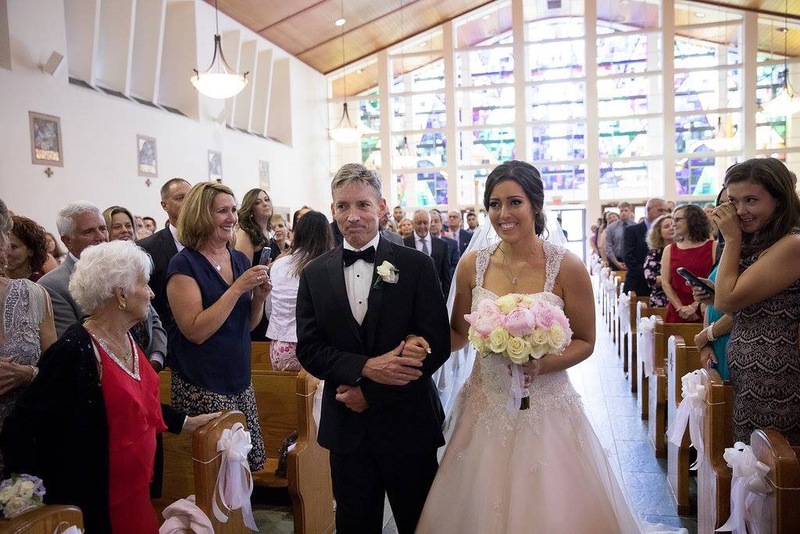 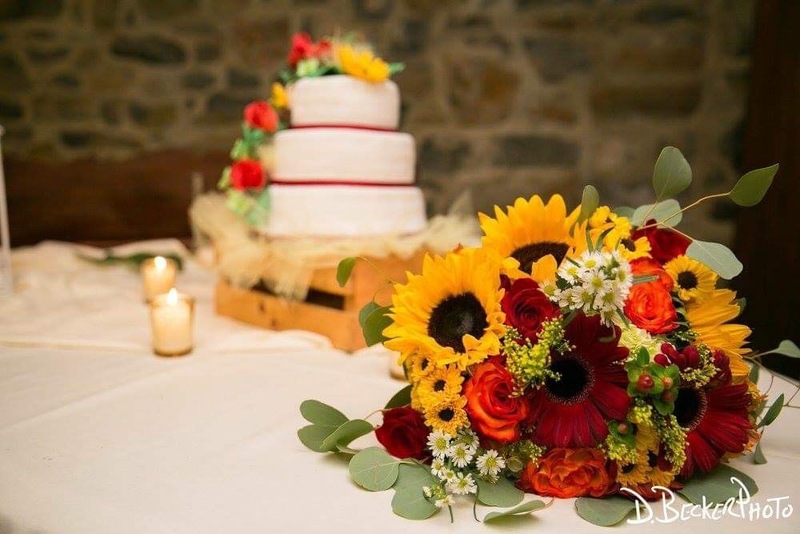 Following a sweet country church ceremony, this bride chose an intimate, rustic setting. 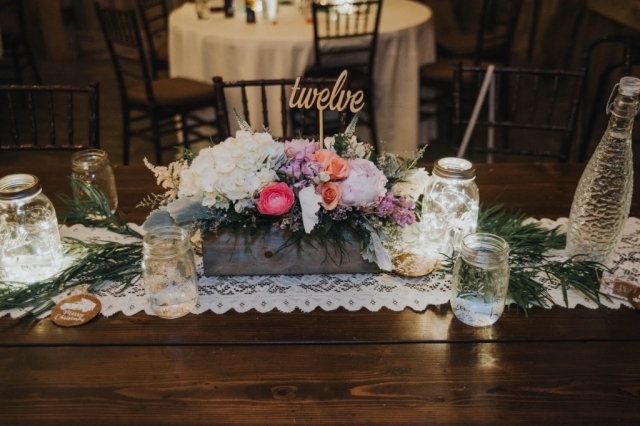 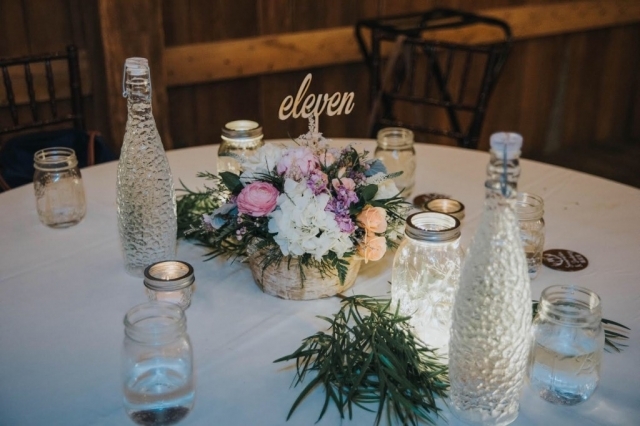 Adding to the charm of this rural venue were mason jars with fairy lights and beautiful deep rich fall colors! 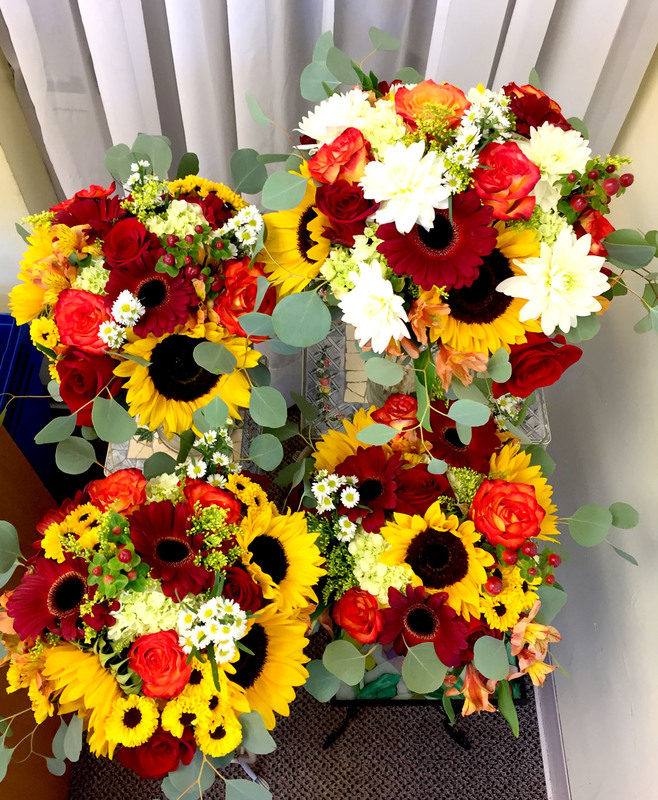 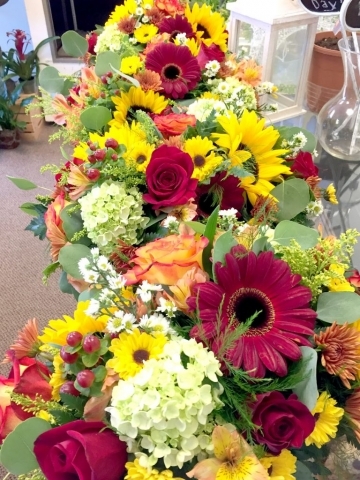 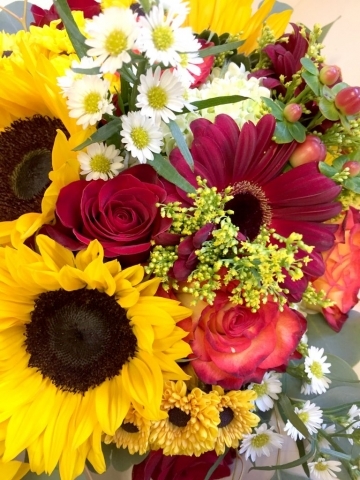 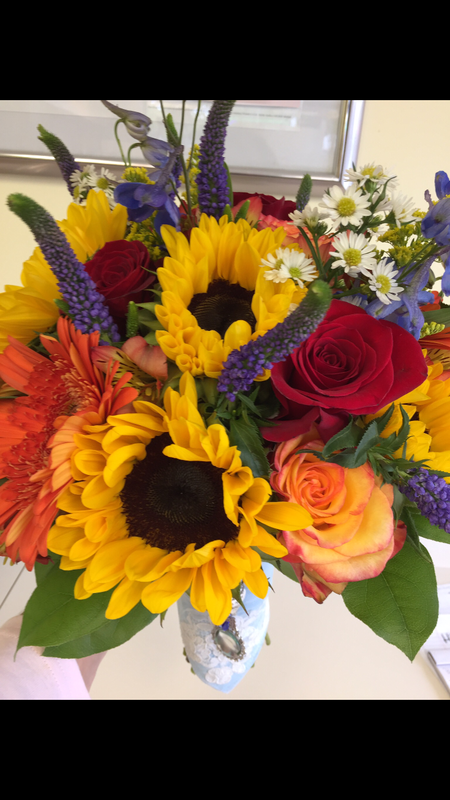 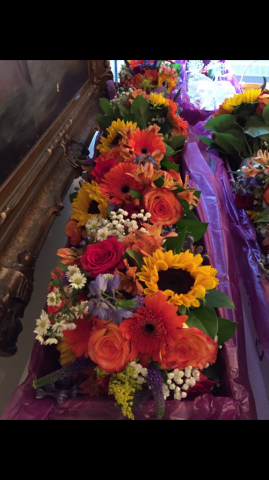 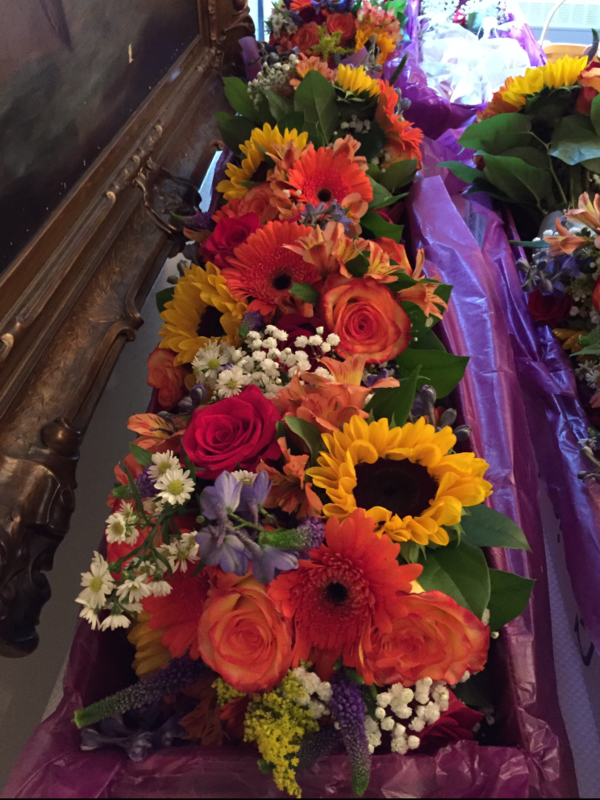 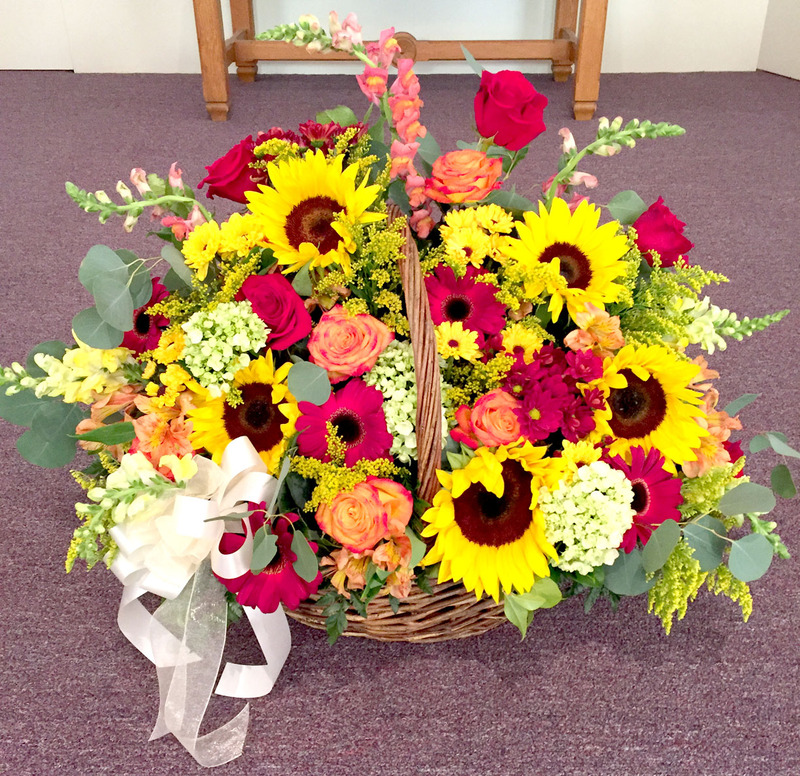 Burgundy gerbera daisies, vibrant sunflowers, green hydrangea, and roses really put on a show! 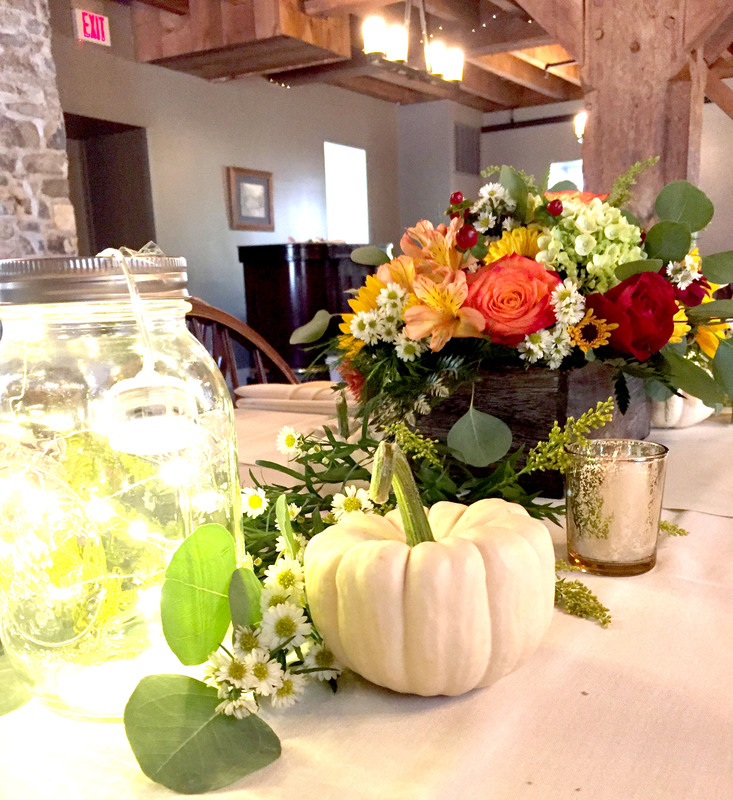 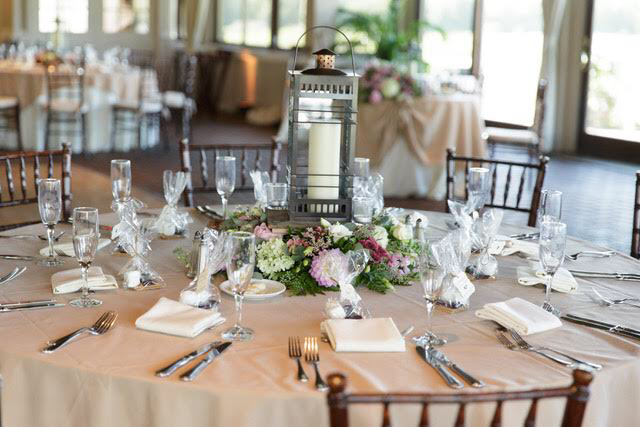 White pumpkins and greenery complimented the wooden box centerpieces and added to the rich, autumn atmosphere. 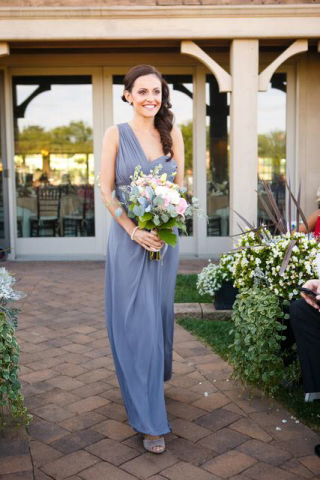 A wedding planned from afar kept us from meeting this bride until her wedding day, yet no detail was overlooked. We were happy to work with Maggie over the phone and with her local relatives to put together this stunning event! 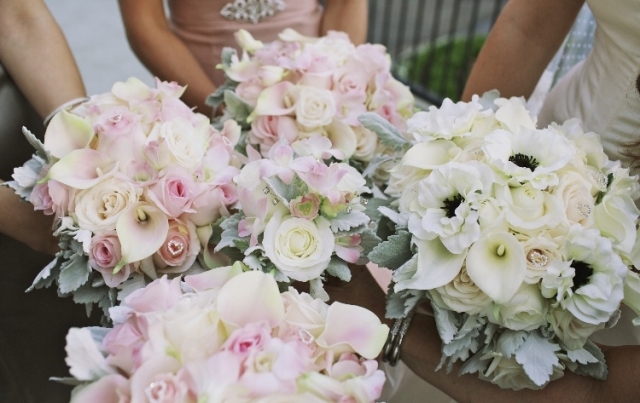 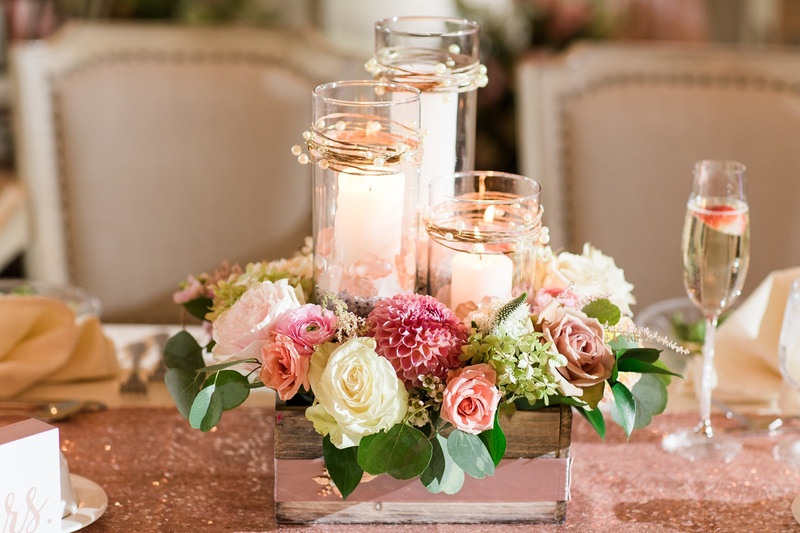 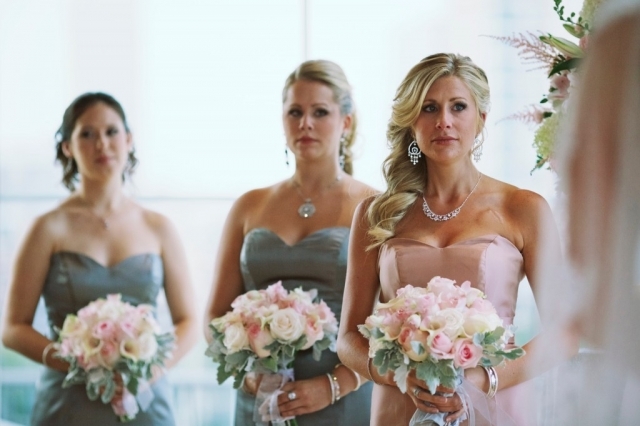 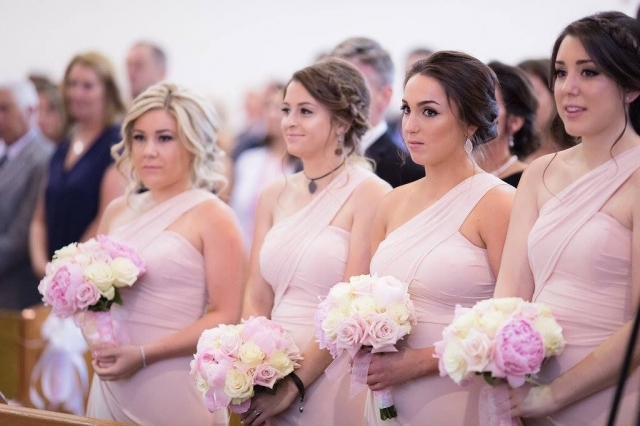 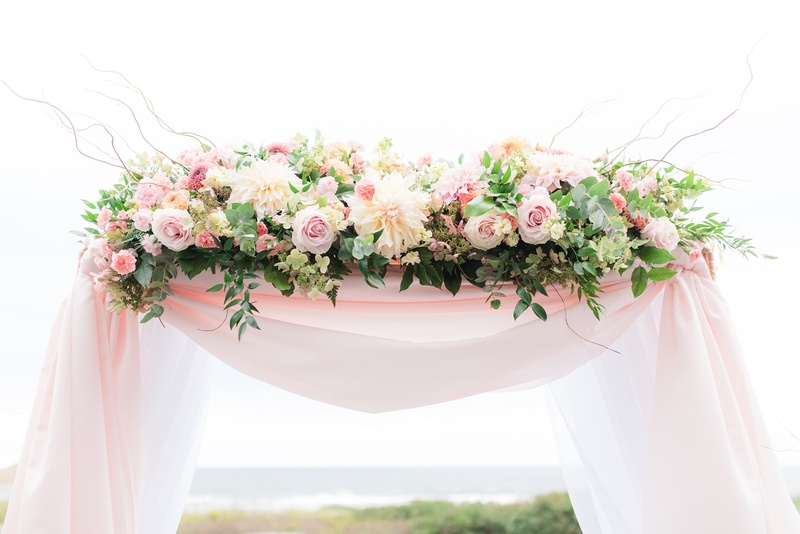 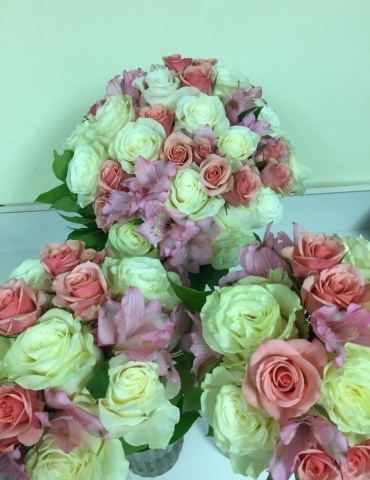 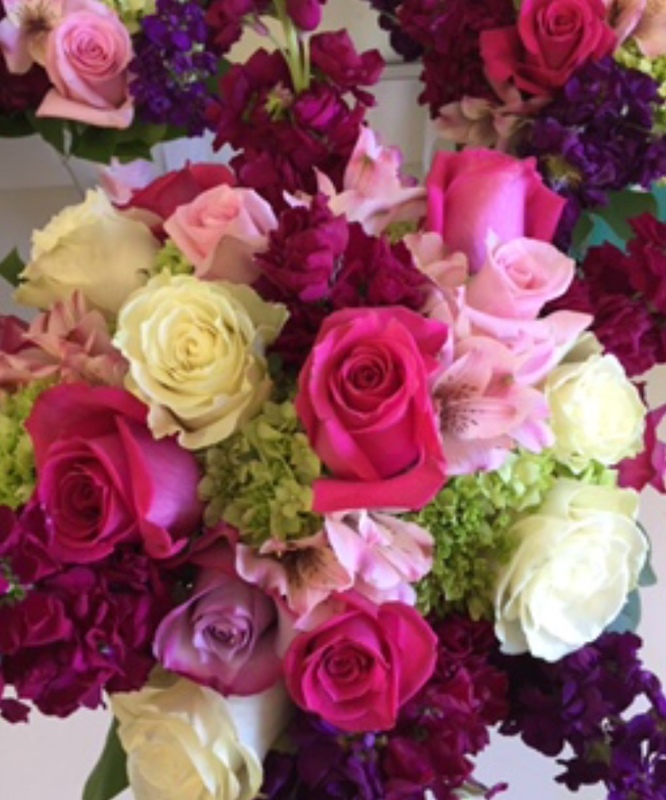 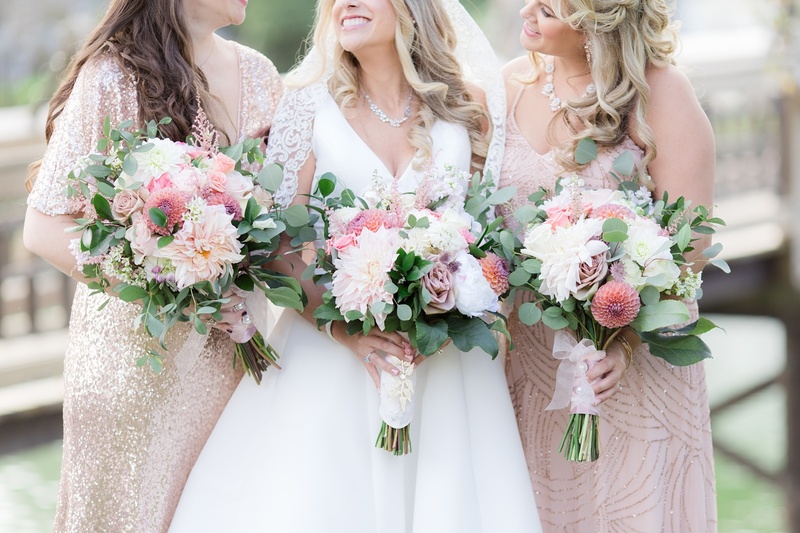 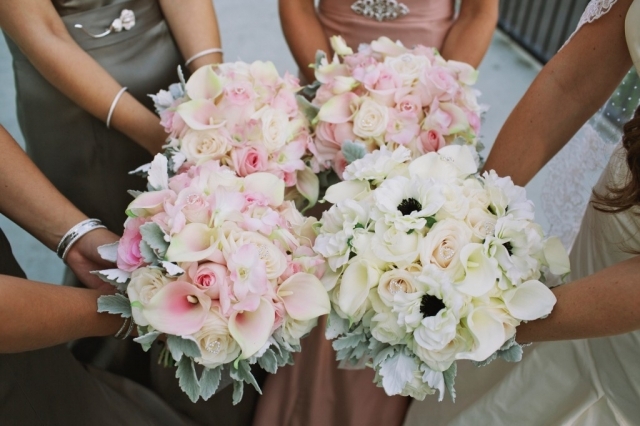 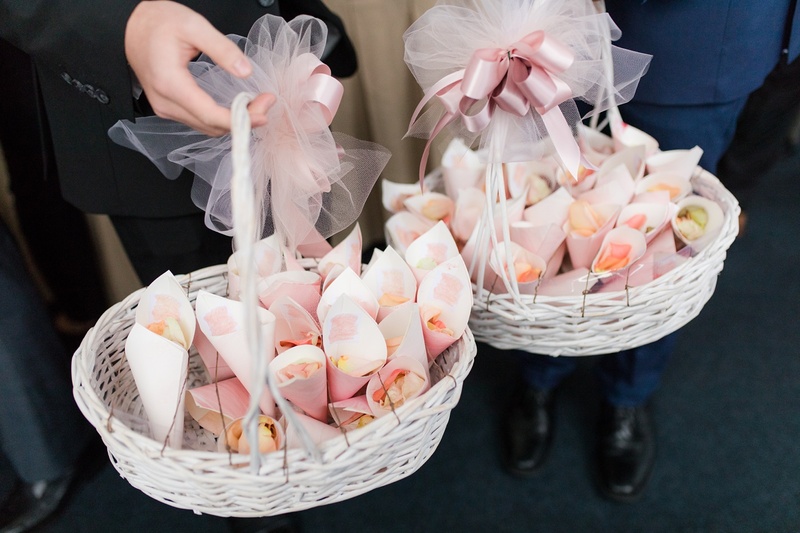 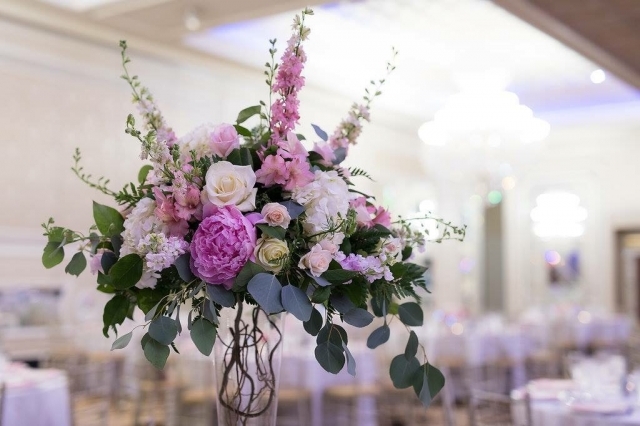 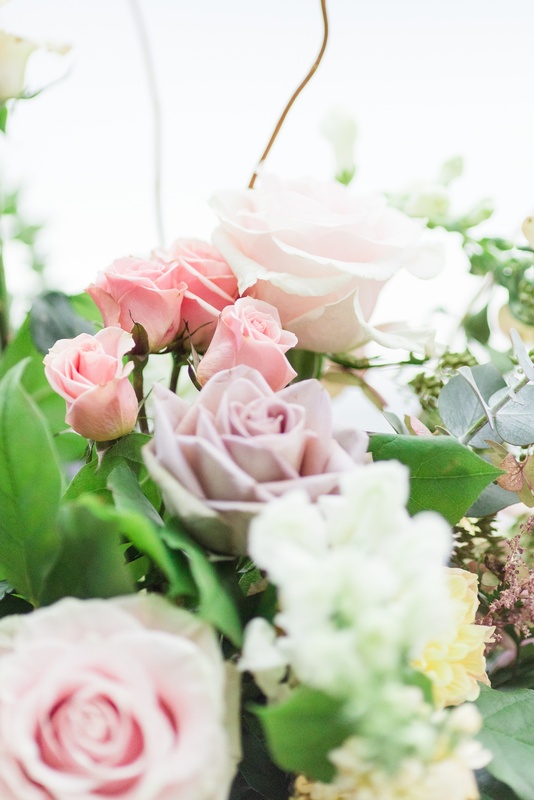 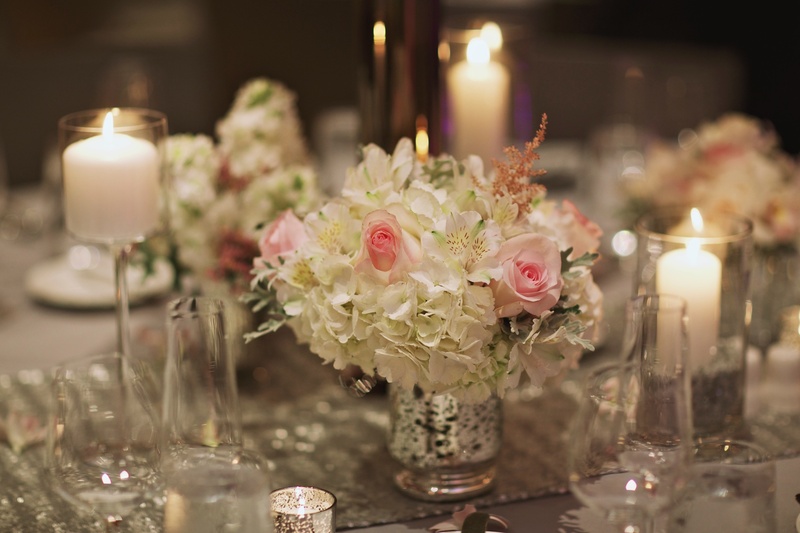 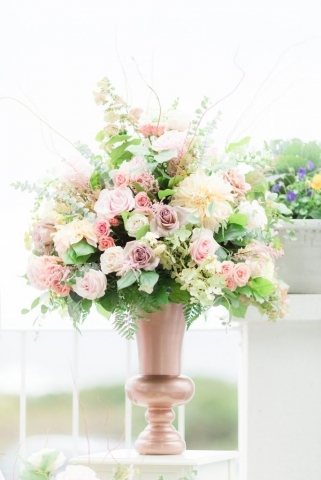 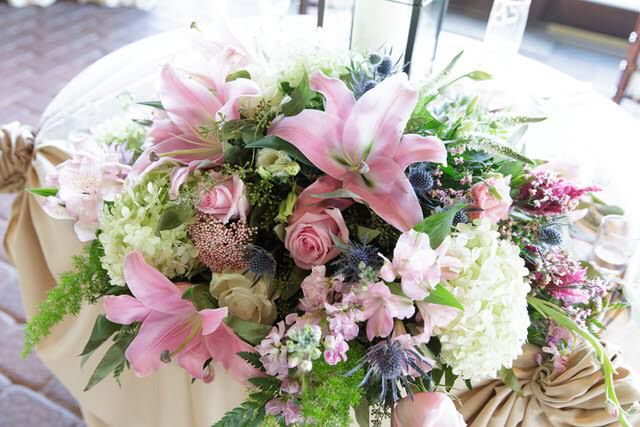 Soft pinks of peonies and roses were shown off in a combination of high and low pieces. 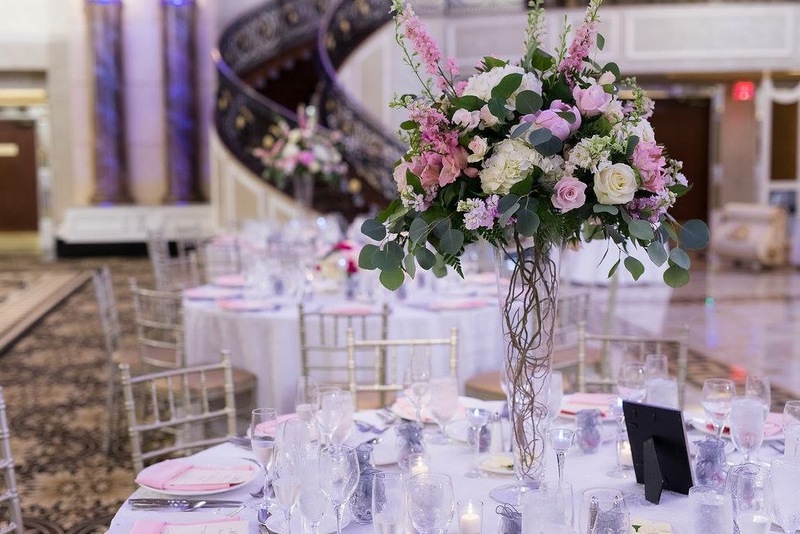 We love this approach of mixing centerpiece heights when the event space is large and spacious. 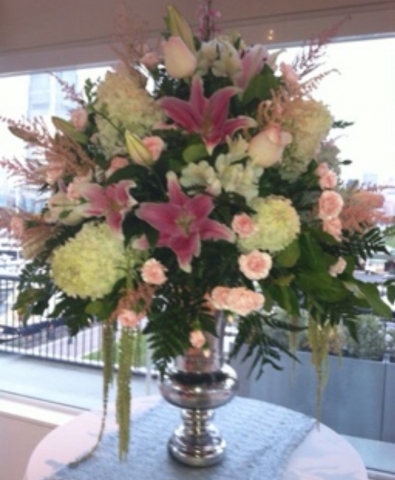 Elegant mercury bowls added to the ambiance at New Jersey’s most popular venue. 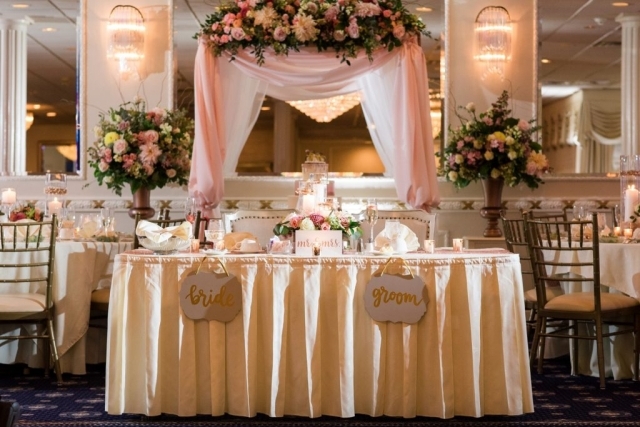 The stage was set perfectly for the new bride and groom royalty. 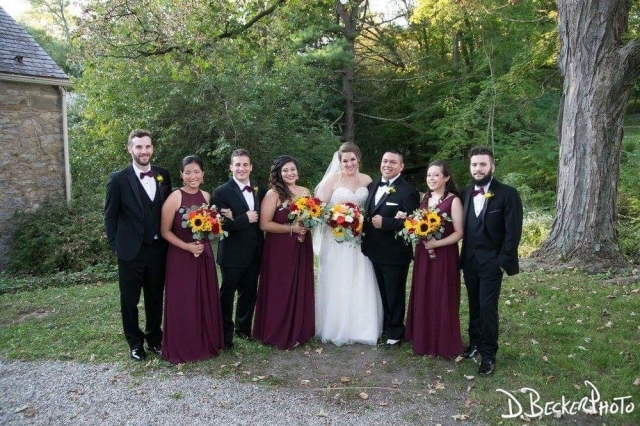 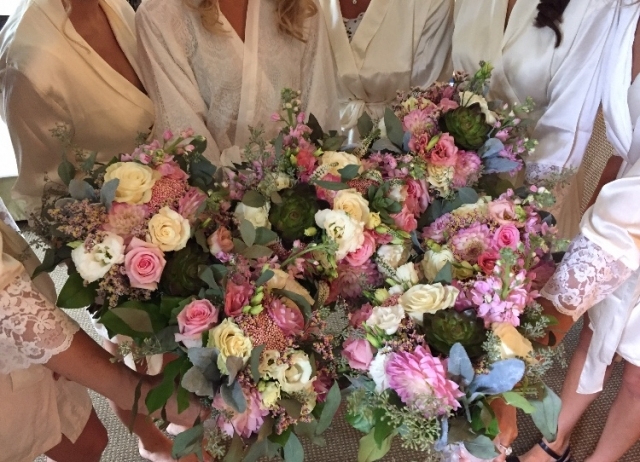 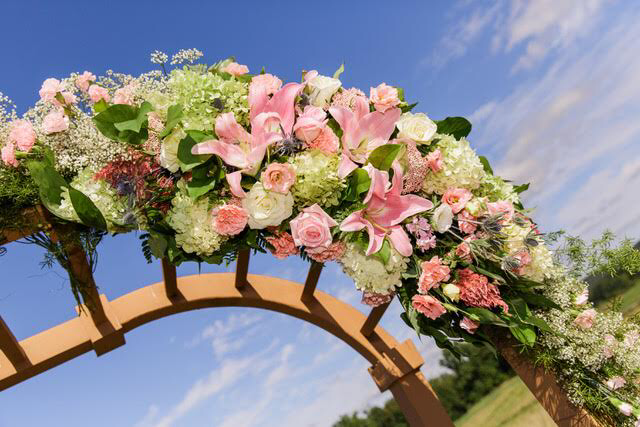 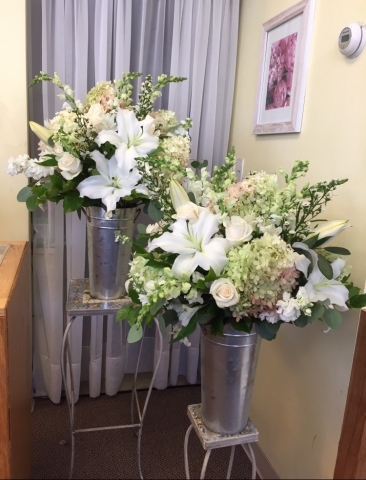 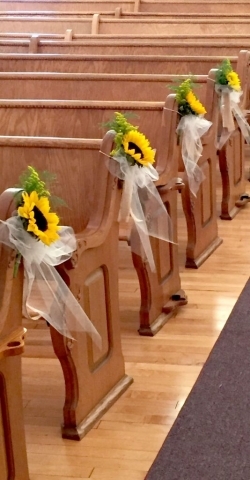 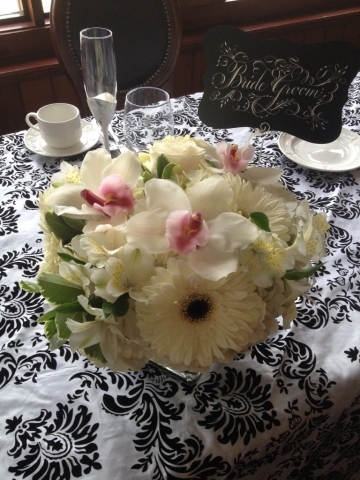 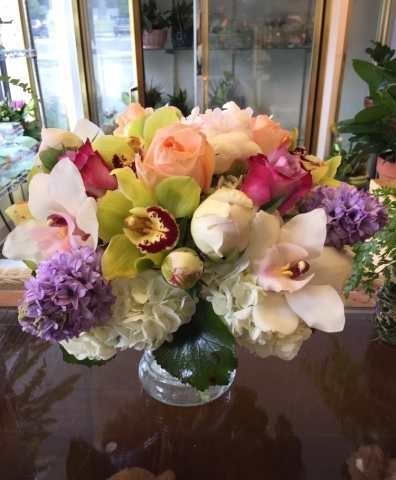 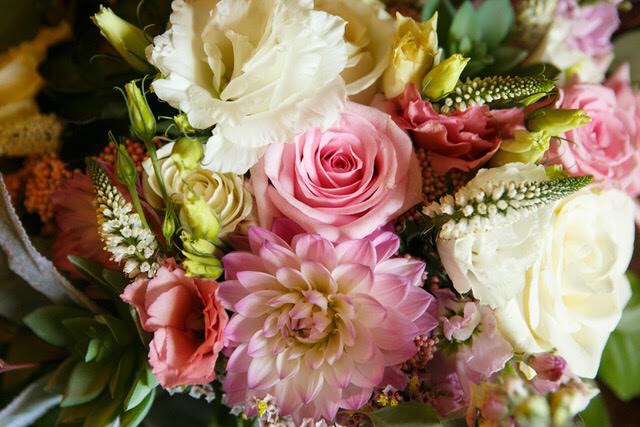 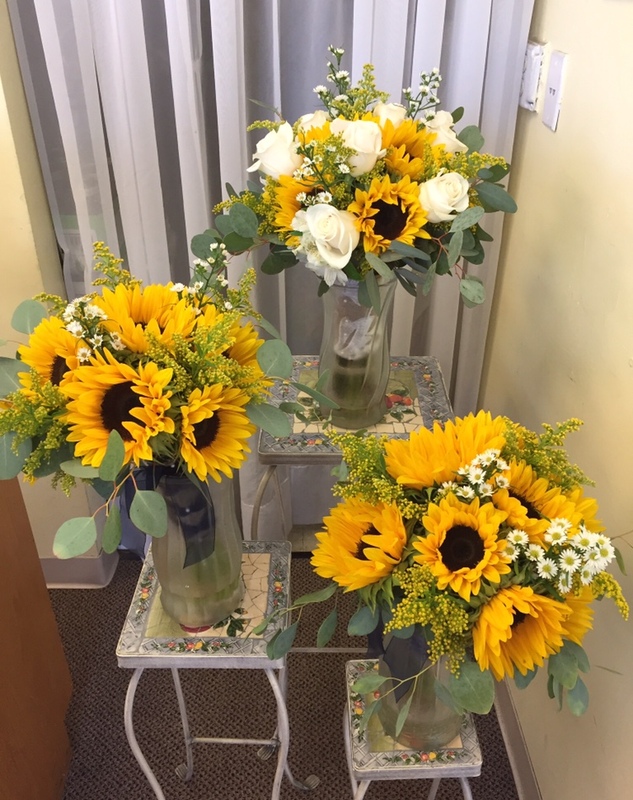 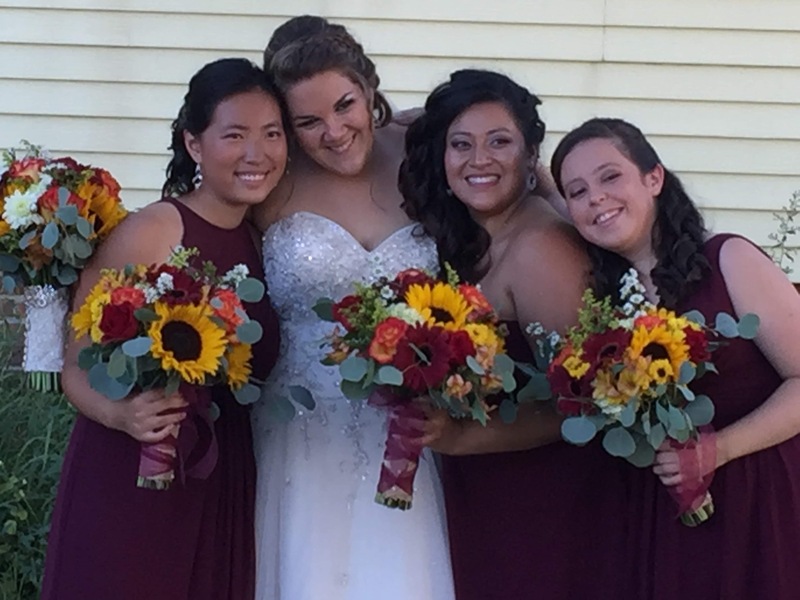 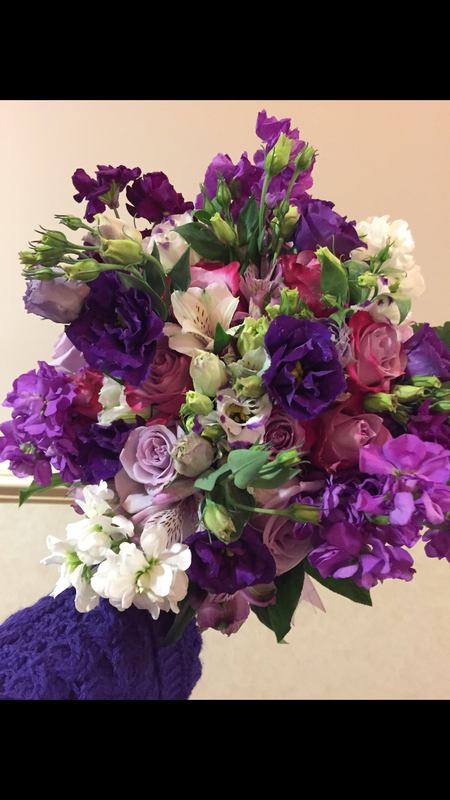 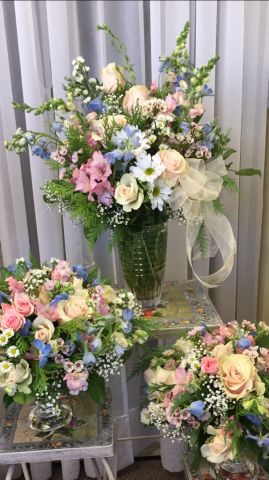 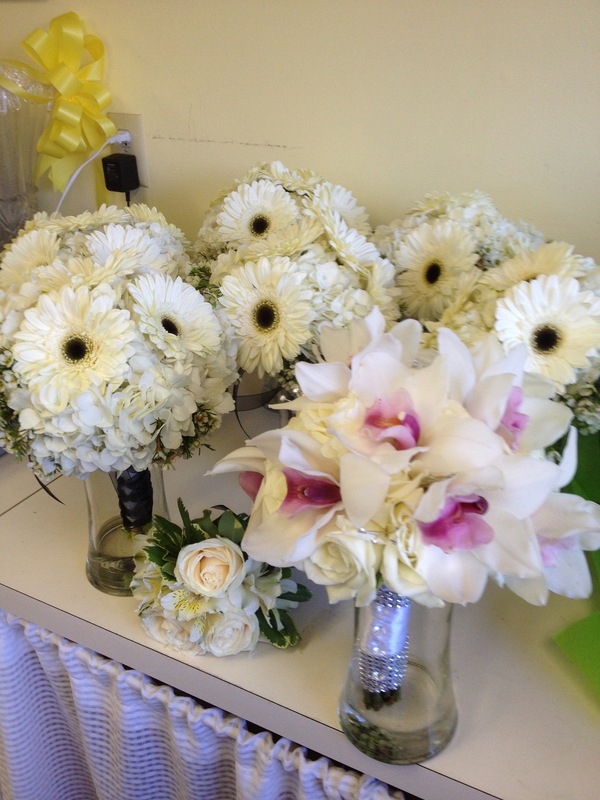 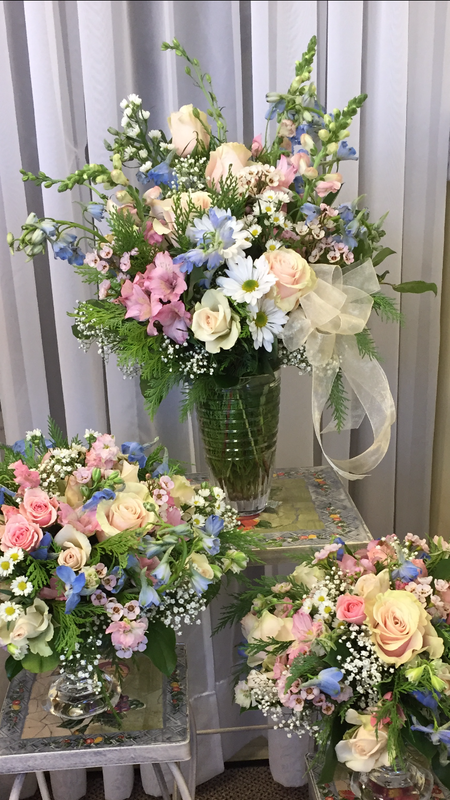 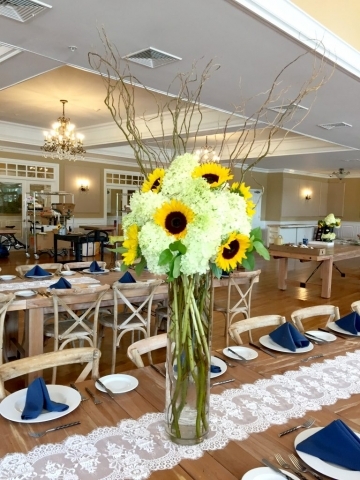 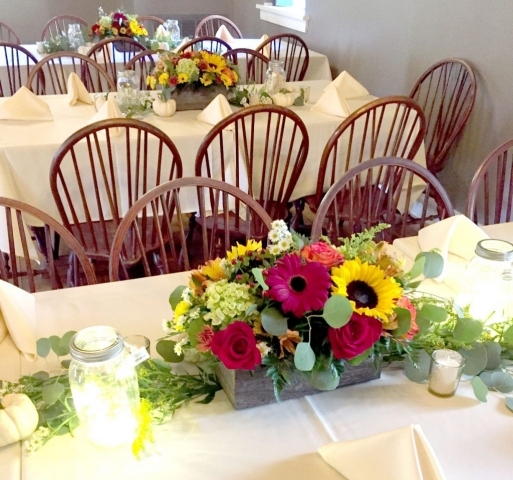 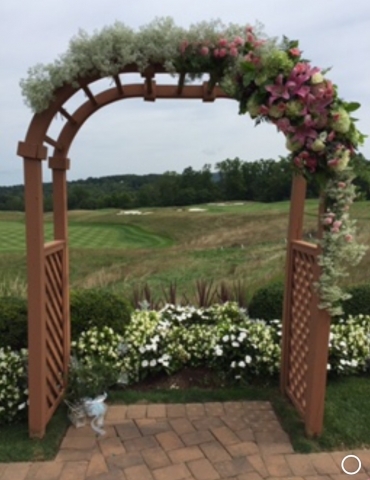 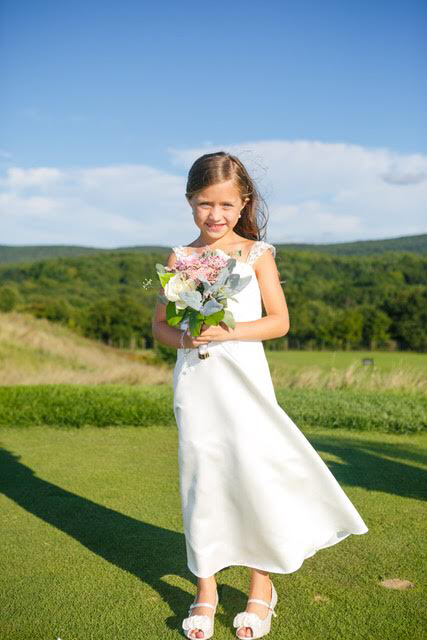 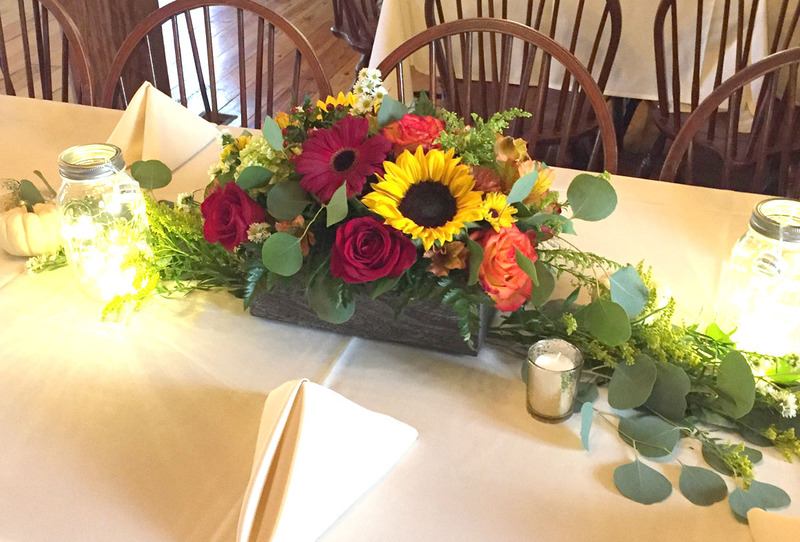 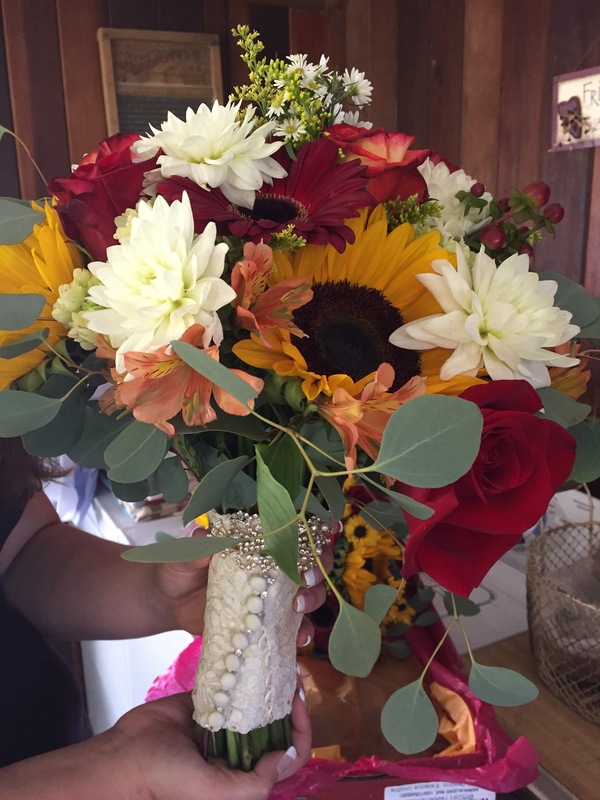 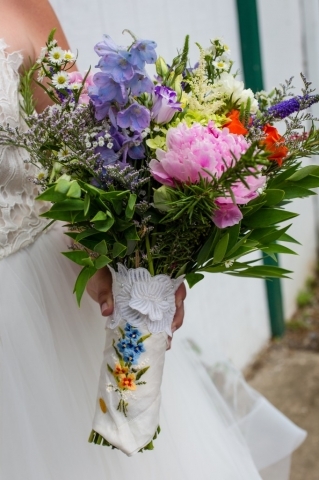 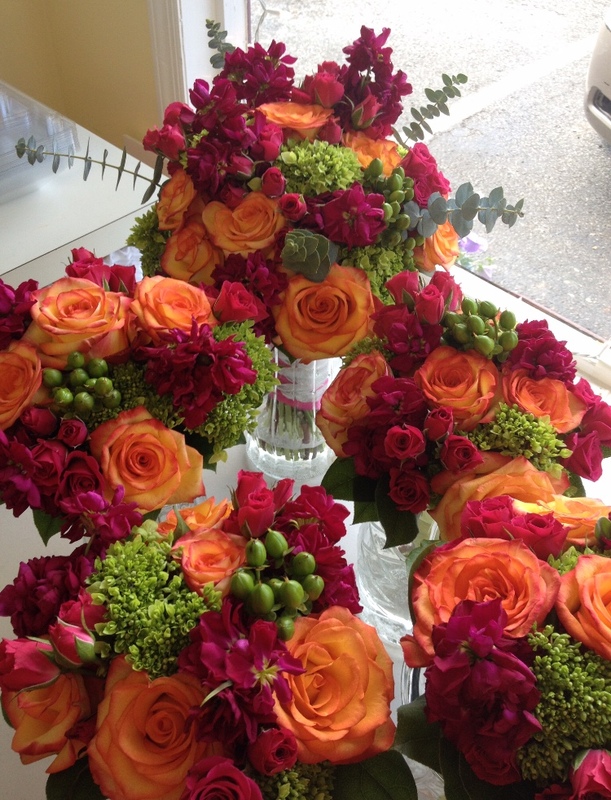 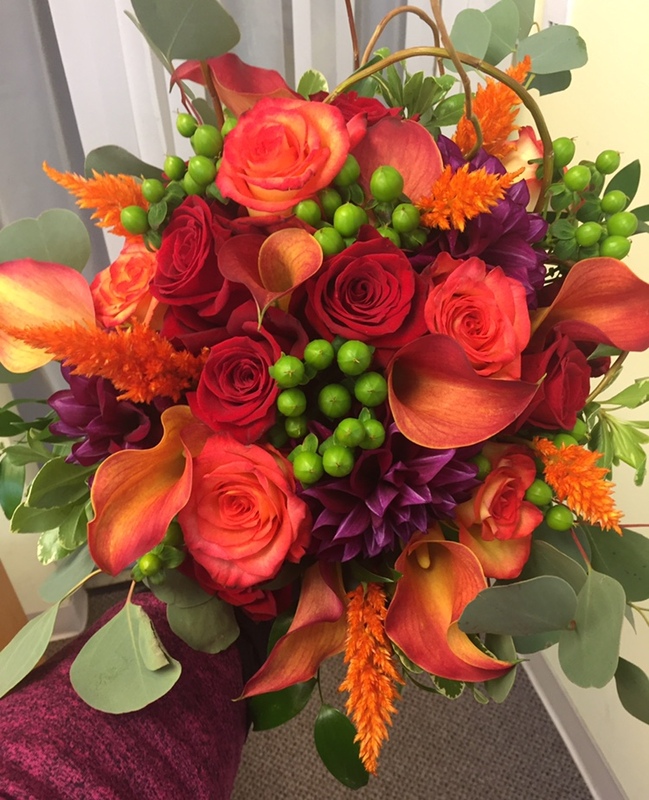 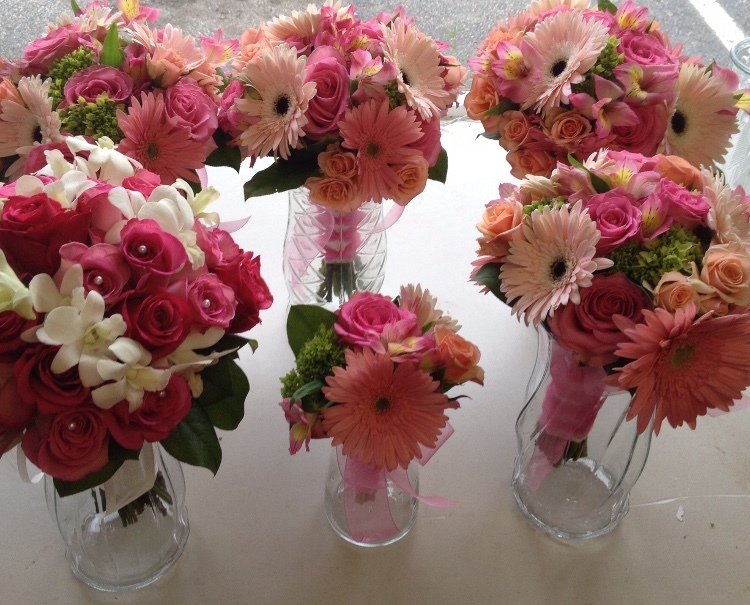 Kim chose the perfect flower combinations for their beautiful, sunny wedding at Bear Brook! 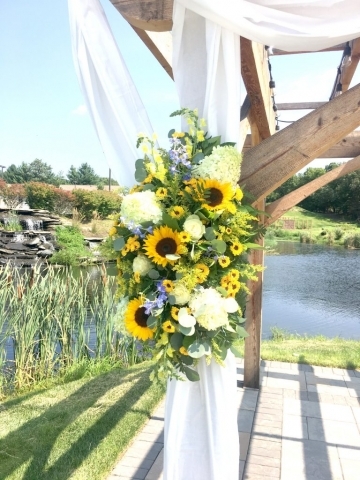 The sunflowers, hydrangea, delphinium, white roses and lush greenery all sparkled in the expansive country setting. 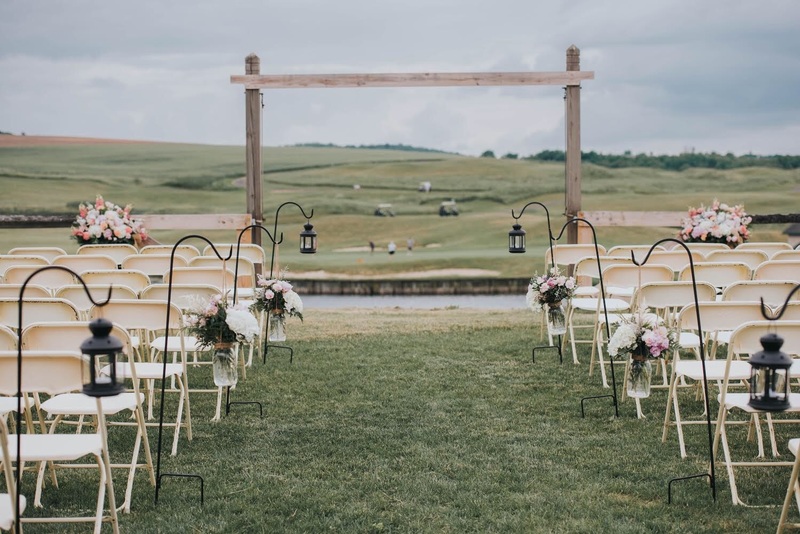 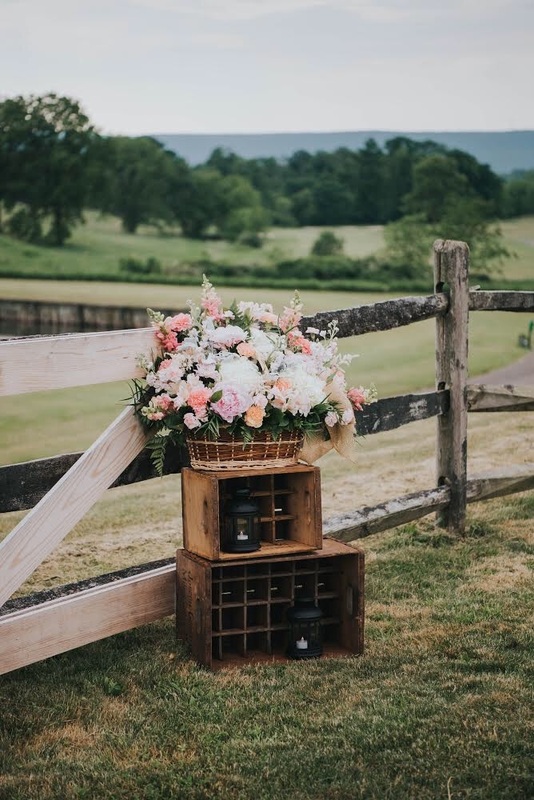 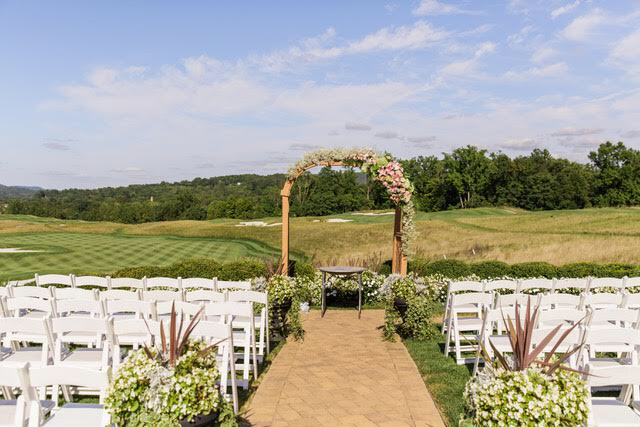 Our favorite feature of this venue is the outdoor ceremony space! 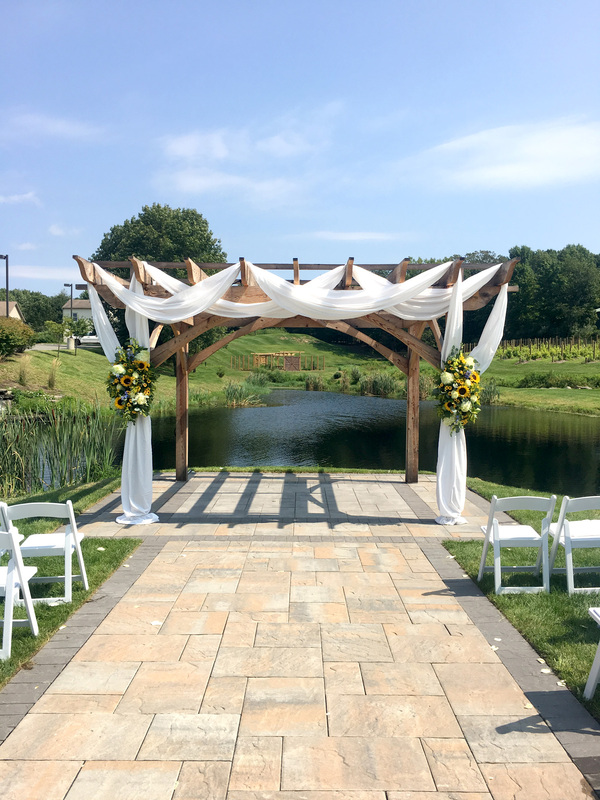 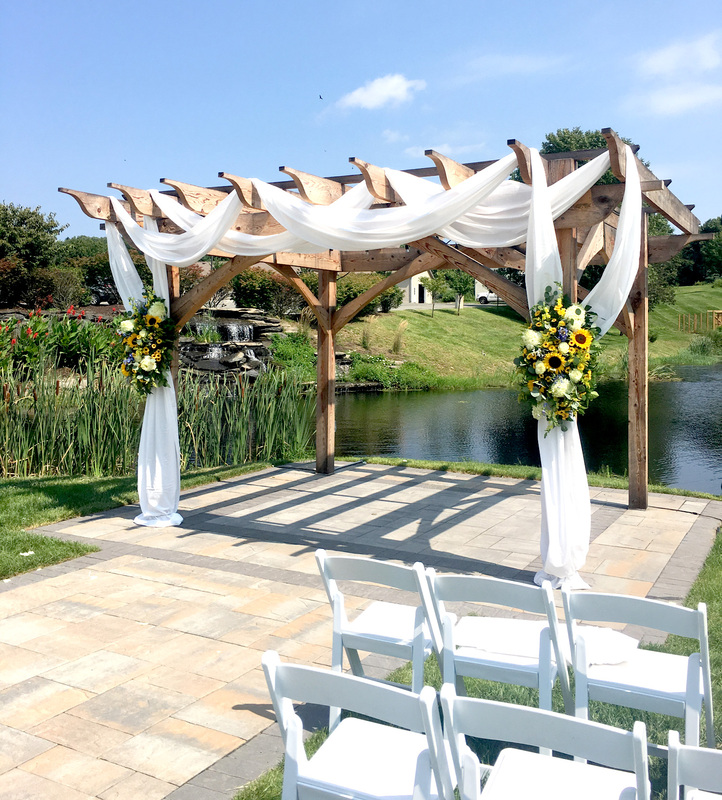 The large arbor, which we draped with billowing fabric and adorned with large flower swags, overlooks a pond complete with a waterfall. 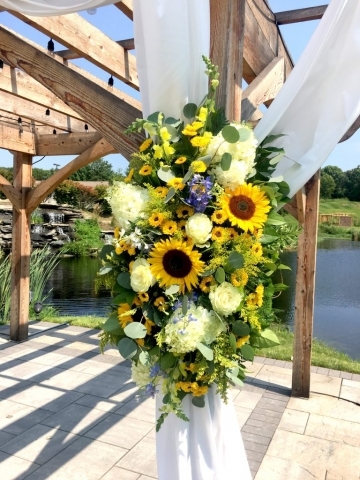 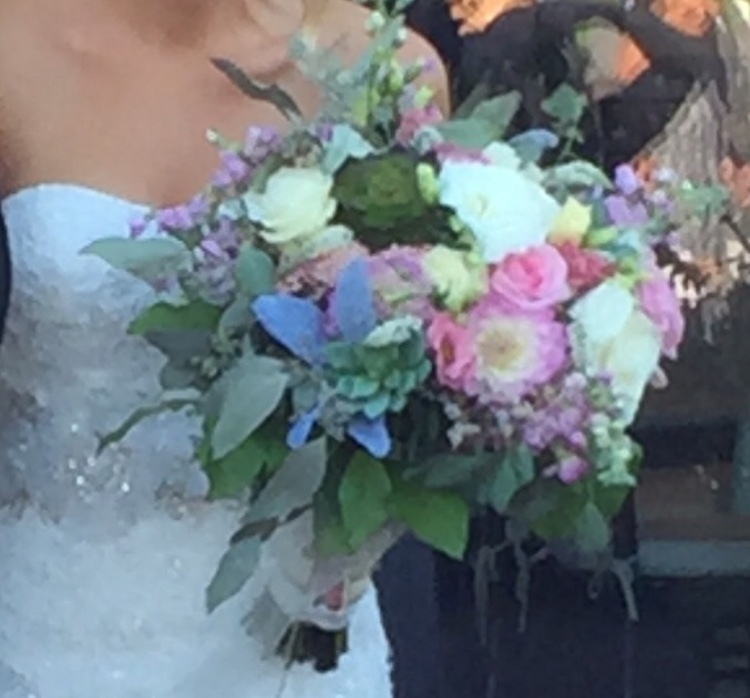 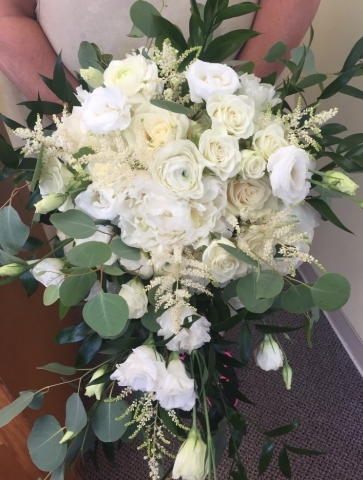 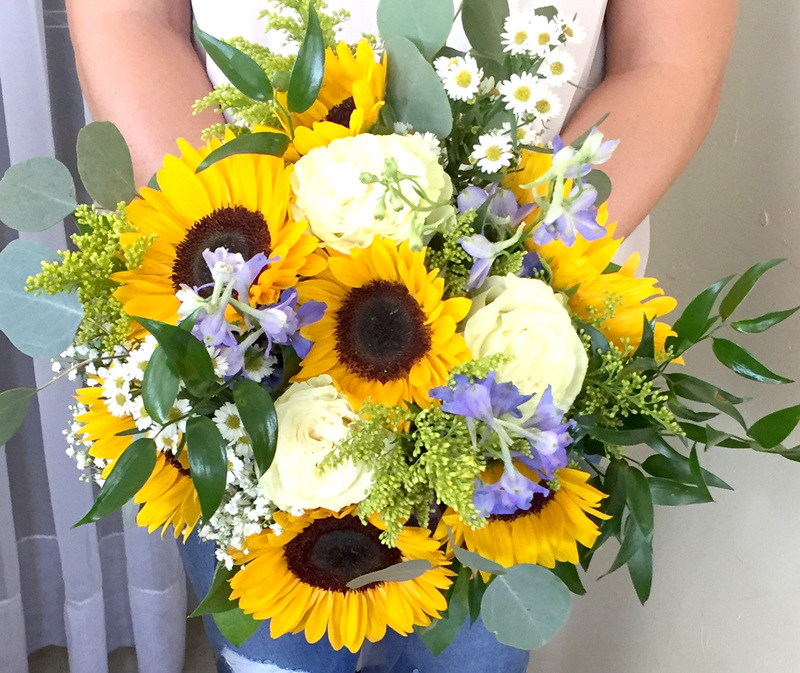 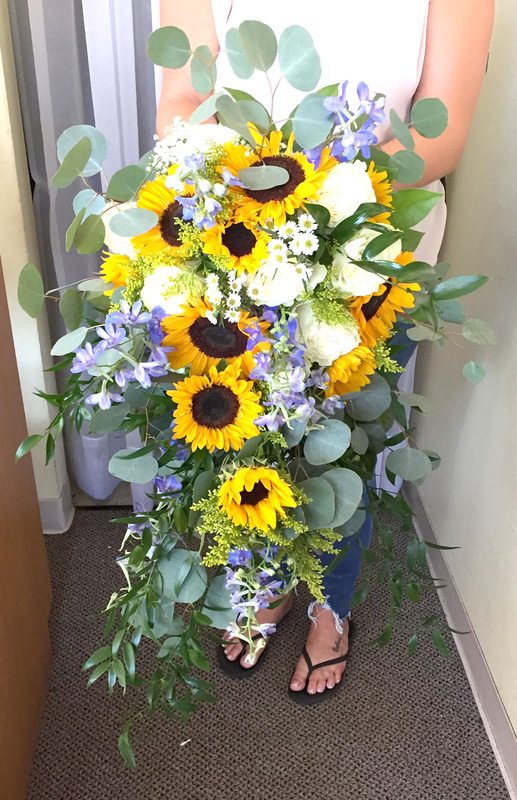 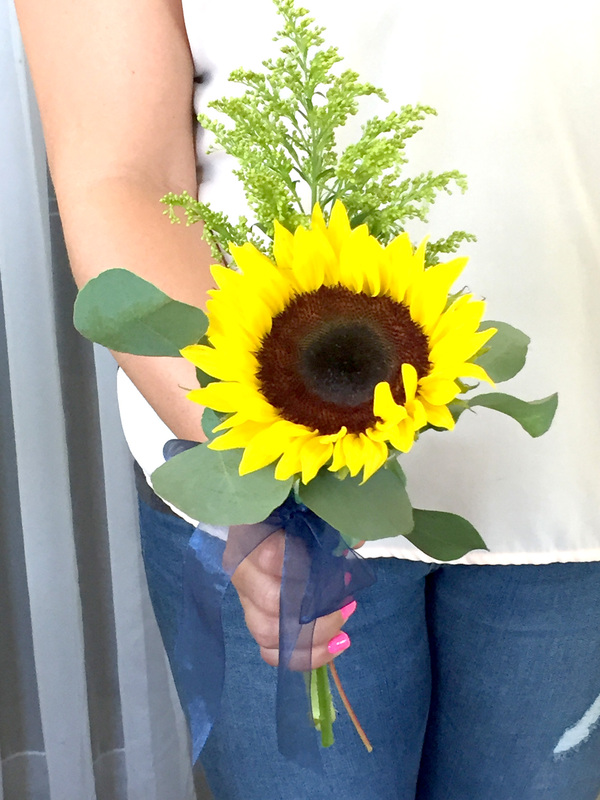 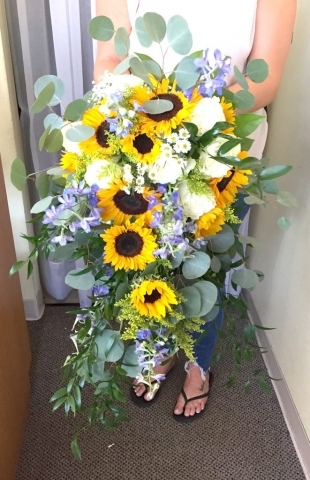 The Bride’s bouquet was a long trailing cascade with white roses, sunflowers, delphinium, and eucalyptus. The high ceilings in the reception space were perfect for tall curly willow branches and the lace runners on the tables completed the rustic look. 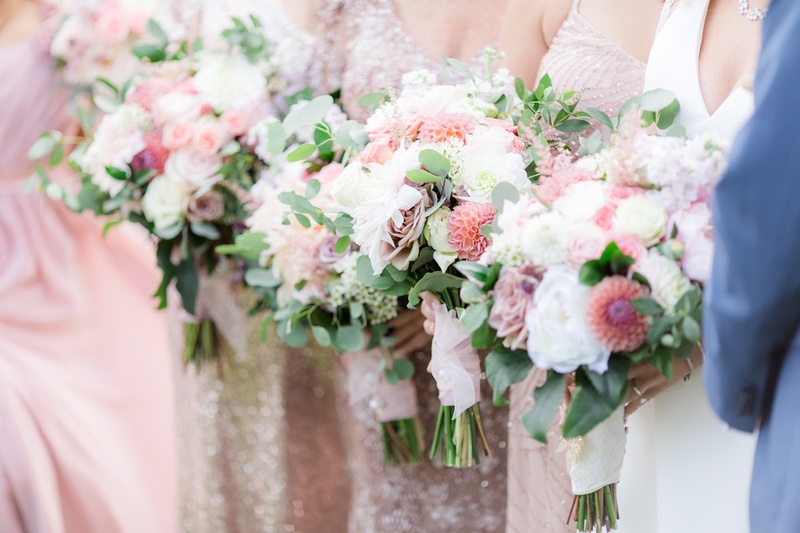 Be sure to follow us on Instagram for our most current wedding flowers!